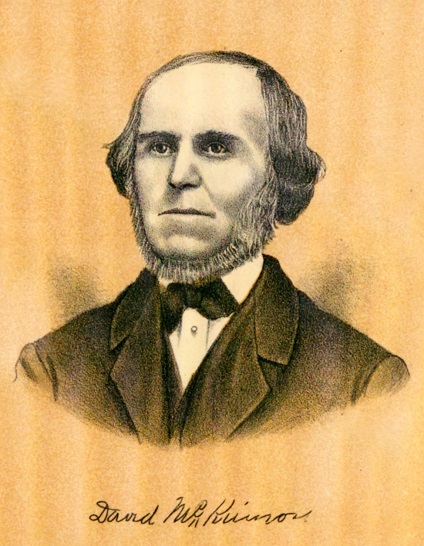 Among the prosperous business men and capable financiers of Cedar Rapids is numbered Christian Magnus, who has been a resident of this city since 1859. He was born on the 19th of March, 1834, in Giessen, Hesse-Darmstadt, Germany, where he grew to manhood and received a thorough education in the higher schools and colleges. His father, Carl Magnus, was also a native of Giessen, Hesse-Darmstadt, and was a brewer, as was also his father and grandfather. For many years Carl Magnus was actively engaged in the brewing business in Giessen, and was one of the prominent men of that city. During his youth Christian Magnus learned the brewing business with his father, and then traveled through Germany, working in different cities and thoroughly learning the business in all its branches. In connection with it he also worked two years at the cooper’s trade in Frankfort and thus qualified himself for his chosen occupation. He traveled and worked in different cities of Germany for several years. In 1857 Mr. Magnus crossed the Atlantic, and took up his residence in Twin springs, Winneshiek county, Iowa, where he started a brewery for a Frenchman, remaining there one year. 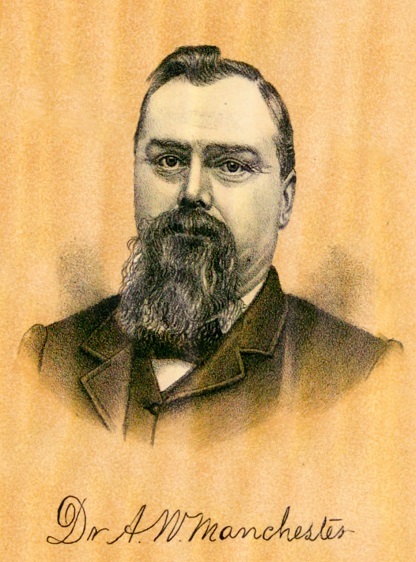 He subsequently spent a short time in Chicago and Milwaukee, and in 1859, came to Cedar Rapids, where he worked in the brewery of Jacob Wetzel as head brewer for two years. He next started a brewery in Kankakee, Illinois, where he remained two years, then returned to Cedar Rapids and formed a partnership with Mr. Wetzel in the brewing business, that connection continuing until 1868, when Mr. Magnus bought out his partner. He began business here in a small way, but has enlarged his facilities from time to time to meet the growing demands of his trade until the capacity of his brewery is now twenty-five thousand barrels per year. He was at the head of the business when it was organized as a stock company with Mr. Magnus as a stockholder and director. He was one of the promoters and an original stockholder in the Cedar Rapids National Bank; a stockholder in the Cedar Rapids Savings Bank, the Electric Light and Power Company, a stockholder and director of the Cedar Rapids Water Company, and also extensively interested in real estate and building, owning the Magnus block on South Second street, and other valuable property. He was president of the Iowa State Brewers’ Association for four years, during which time was fought the prohibition campaign, when the brewers made an active campaign to save their property. Politically, Mr. Magnus has been a Democrat, and served two terms as alderman from the First ward, during which time the sewering was begun. Mr. Magnus was married in Cedar Rapids, in 1864, to Miss Mary A. Wetzel, a daughter of Jacob Wetzel, one of the old settlers of the city. Mr. Magnus has made a number of trips to Europe, and has visited all of its great cities, spending some time at the Paris Exposition in 1900 and returning home in February of the following year. Fraternally, he is a prominent member of the Odd Fellows lodge of Cedar Rapids, in which he has filled all the chairs and is now a past grand. As a public-spirited and enterprising business man he has done much to promote the welfare of his adopted city and advance her interests along various lines. He has a large circle of friends and acquaintances here who will peruse this sketch with interest. Source: The Biographical Record of Linn County Iowa, Illustrated, Chicago: The S. J. Clarke Publishing Company, 1901, pages 220-223. CHRISTIAN MAGNUS, proprietor of the Eagle Brewery, located at Cedar Rapids, was born March 19, 1834, in Giessen, a town of Germany, Grand Duchy of Hesse Darmstadt, capital of Ober-IIessen, on the Lahn, noted for its University, founded in 1607, and famous for its School of Chemistry and also its Normal School and School of Forest Economy, and other institutions of learning, and possessing library of 150,000 volumes. He is a son of Carl and Elizabeth (Selzer) Magnus, natives of Germany and born in the same town as our subject. The father was a brewer, and continued in that business through life. He was born Jan. 18, 1808, and died Feb. 6, 1871, in his native land. The mother was born July 31, 1807, and died Aug. 7, 1850. They had a family of seven children, five of whom are yet living: Carl, a resident of Germany; Johannetta married C. Schaad, and they are living at Cedar Rapids; Christine and Fritz live in the Faderland, and our subject, who was first in order of birth. The father was a prominent citizen of his native town, well-to-do in this world's goods, and gave to all his children a good opportunity to secure a thorough education. He was a gentleman universally loved and respected by those who knew him. Christian Magnus attended school in his native land until fourteen years of age, when he took a preparatory course for the University. He subsequently traveled through Frankfort-on-the-Main, Leipsic, Aachen and Eisenach, and was engaged for three years in thus traveling for the purpose of completing his trade as a brewer. Returning home, he remained for awhile, and then set sail for the United States, arriving in New York City in 1857. He remained in the metropolis until January of the following year, 1858, when he came west and located at Dubuque, going thence to Winneshiek County, this State. There he started a brewery for a Frenchman, and of which he was foreman until 1859, when he went to Chicago and became an employe as maltster for Lill & Diversy, and also worked for Conrad Seipp. In September, 1859, he came to Cedar Rapids and started a brewery for Jacob Wetzel, which was located where Mr. Magnus' brewery now stands. Our subject was foreman for Mr. Wetzel two years, when he went to Kankakee, Ill., and, in partnership with George Diehl, started another brewery. They continued in partnership for two years, when Mr. Magnus sold his interest to his partner, and returning to Cedar Rapids, became a partner of Jacob Wetzel, for whom he had previously erected the brewery. The partnership of our subject with Mr. Wetzel continued until 1868, when Mr. Magnus purchased Mr. Wetzel's interest, and has since continued the business alone. In 1873 our subject was burned out, sustaining a loss of between $8,000 and $10,000, but in 1875 rebuilt. When the brewery was first started its capacity was only 400 barrels per year, but its present capacity is 25,000 barrels, and the malting capacity 60,000 bushels of barley per year. Mr. Magnus employed, prior to the Prohibitory Law, from thirty to thirty-five men, and was doing an exceedingly good business, his sales having been constantly on the increase. His brewery is on Sixth avenue and Eighth street, and his residence on Fifth street and A avenue. He is a stockholder in the Savings Bank. Mr. Magnus was married in 1864 to Miss Mary Wetzel, a native of Cleveland, Ohio, and daughter of Jacob Wetzel, a native of France. Socially Mr. Magnus is a member of the I. O. O. F., and has held all the offices of that order. He was City Alderman of the First Ward for two years, and is one of the leading tax-payers in Cedar Rapids. In politics he is a Democrat. He has been President of the Iowa Brewers' Association for four consecutive years, and is one of the foremost business men of Cedar Rapids, and as such the publishers of this work are pleased to present his portrait on an accompanying page. DR. A. W. MANCHESTER, of Walker, is one of the most prominent and popular physicians of Linn County. He is a native of Rhode Island, born Jan. 9, 1847, and came to Illinois when but a lad. He only remained here but a short time, however, returning to New England after two years, and locating in Massachusetts, where he remained for eight years. He then turned his face westward once more, and came into Iowa, where he completed the education which he had begun in the East, by attendance at Cornell College. He studied medicine with HI. W. Sigworth at Wanbeck, Iowa, for about three years, and also attended a course of lectures at Iowa City. He was a close student, and deeply interested in the intricacies of his future calling. He began his practice at Walker, which he has continued successfully for twelve years, building up a large patronage and securing hosts of personal friends. Dr. Manchester and Miss Alice Barnes were united in marriage, May 19, 1875. Mrs. M. was born in Stephenson County, Ill., May 31, 1857, and has become the mother of two children – George E. and Gifford W.; the latter is deceased. Dr. Manchester built the first drug-store in this village twelve years ago. He has accumulated considerable property, and has a comfortable homestead in Walker. He is a practitioner of the regular school, and is well-read and scientific in his practice. Politically he votes uniformly with the Democratic party. Dr. Manchester is known far and wide, and his many friends will lie gratified upon seeing his portrait in this volume. He may justly be classed among the representative professional gentlemen of this county. One of the most progressive and successful agriculturists of Linn township, is Alva Mann, who is the owner of a beautiful farm on sections 8, 16 and 17. His entire life has been passed in this township, where he was born on the 11th of November, 1843, his parents being Adam and Jennie (Whitlach) Mann, who were honored pioneers of Linn county. His father was a native of Greene county, Pennsylvania, and continued his residence in that state during his boyhood and youth. When a young man he went to Ohio, where he lived for four years, and then came to Iowa, crossing the Mississippi eight miles from Muscatine, at Pine Creek, August 8, 1837. On this trip he was accompanied by his parents, David and Nancy Mann, who located on a farm in Greenfield township, Jones county, where they made their home until death. Adam Mann remained with his parents in Jones county until 1840, when he came to Linn county, and took up his residence on section 8, Linn township, where he entered one hundred and sixty acres of land from the government. He at once commenced to break and improve his land, and in his farming operations here he met with marked success, owning at the time of his death nearly five hundred acres of valuable land in Linn township, though he had already given some of his children farms. In connection with general farming he carried on stock raising to some extent. He voted the Democratic ticket, and was an earnest and consistent member of the Baptist church, as is also his wife. He died on the old home place, October 6, 1889, at the age of sixty-five years, but she is still living in Linn township at the age of seventy-six, and enjoys good health. She is a native of Ohio, and a daughter of John W. and Annie (Mann) Whitlach. Her father was engaged in farming in Linn township for a great many years, but shortly before his death removed to Nebraska, where he passed away about twelve years ago. His wife has been dead twenty-three years. The subject of this sketch is the second in order of birth in a family of seven children, the others being as follows: Katherine married John A. Kearns, who died in June, 1900, and she resides on a farm in Linn township; Hamilton died at the age of two years; William B. is a farmer of southern Kansas; Stephen married Lucy Coleman and died in Linn township, this county, January 22, 1892, leaving a widow and three children, who reside on the homeplace on section 10; Nirah is the wife of William Lacock, of Linn township; and Addie is the wife of Abner Lacock, a farmer of the same township. Alva Mann grew to manhood upon the home farm and was educated in the district schools of Linn township. He started out in life for himself upon his present farm, a part of which was given him by his father, it being a valuable and well improved tract of one hundred and ninety-five acres, which he has placed under a high state of cultivation and improved with good buildings. He has given considerable attention to the raising of stock, and being a man of good business ability and sound judgment, as well as a systematic and practical farmer, he has met with well-deserved success in his undertakings. On the 24th of June, 1874, in Franklin township, Mr. Mann was united in marriage with Miss Alicia Coleman, a daughter of Elisha and Rebecca (Carr) Coleman, both now deceased. Her father followed farming in Franklin and Linn townships for a number of years, and then moved to Nebraska, where he lived for some time, but his last days were spent in Kansas, where he died at the age of seventy-three years. Her mother departed this life in Nebraska at the age of sixty-nine. In the family were nine children of whom seven are still living. One of these is Lucy, widow of Stephen Mann, previously mentioned. Unto Mr. and Mrs. Man were born five children, namely: Lena and Stella, both of whom are at home; Bertie, wife of Otto Dunlap, a cooper of Springville, Brown township, Linn county; Lillian, who died at the age of sixteen years; and Deverre, at home. During Mr. Man's boyhood Linn county was but sparsely settled, and he well remembers when much of the land was still in its primitive condition and wild game of all kinds was plentiful. He has seen the wild land transformed into highly cultivated farms, and in the work of development and upbuilding has ever borne his part, being one of them who has materially aided in making the county what it is to-day - one of the richest agricultural districts in the state. In his political vies he is a Democrat, and in religious faith is a Presbyterian, having long been an active and prominent member of the church at Paralta, as well as one of its trustees. His fellow citizens hold him in high esteem on account of his honorable and upright life, and he commands the confidence and respect of all who know him. Source: The Biographical Record of Linn County Iowa, Illustrated, Chicago: The S. J. Clarke Publishing Company, 1901, pages 360-363. E. L. MANSFIELD, M. D.
Prominent, not only in the medical profession, but among the business men of Cedar Rapids, for many years, was the well-known figure of Dr. E. L. Mansfield. He was a native of Athens, Ohio, and a graduate of the Western Reserve College, Cincinnati. Having practiced medicine in this native State about two years, he came to Cedar Rapids in 1847 to make it his permanent home. At one time he was in partnership with Dr. S. D. Carpenter, and in later years with other physicians; but for many years he practiced his profession alone. While some of his partners early turned aside into other channels of business, he continued the practice of medicine with unflagging devotion for thirty-five years. During the latter part of his life, I believe, he gave less attention to the practice of medicine, and devoted more time to business matters in other channels. He operated to a considerable extent in real estate, and erected some large buildings which are at this time recognized as ornaments in the city. He was connected with the banking and manufacturing interests of the city, and the ample fortune which he secured, is proof sufficient of his business sagacity. One characteristic of the doctor was, that he was always very lenient with his patients who were unable to pay for the services he had rendered them. This I can testify to from my own personal knowledge of some cases. And then I have this from his daughter, Mrs. C. J. Deacon, which is a good illustration of this trait in his character. When Mrs. Deacon was an infant only a few days old, the doctor had a call to go to Boone to amputate a man’s leg. It was before the days of railroads in that direction, and the doctor had to drive his horse and buggy all the way there and back. Months and years rolled away and the bill was never paid. Finally, after twenty-one years, and the infant daughter had grown to womanhood and was married, the bill was paid without interest, and the doctor invested the amount in a silver pitcher, which he presented to his daughter, to pay for leaving her so suddenly and on such a long journey, when she had only looked out upon this strange world but three or four days. He died very suddenly, May 26, 1887. One day he was riding out in the country north of town on business, and when near the residence of Mr. Wm. Hunter, some three miles out, Mrs. Hunter observed the horse and carriage go by and then suddenly stop under a tree, and surmising that something was wrong, she went out to see what was the matter, when to her dismay, the doctor was found to be quite dead. The cause of his death was supposed to be apoplexy. Source: Carroll, George R., Pioneer Life In and Around Cedar Rapids, Iowa From 1839 to 1849. Cedar Rapids, Times Printing and Binding House. 1895. Pages 133-135. Rev. Dr. Marshall Passes Away This Morning. His death the sudden result of an attack of pneumonia - his work at Coe College prospered under his guidance - Active during the war. Cedar Rapids people were much surprised this morning when the announcement was made that Rev. Dr. James Marshall, president of Coe college, had died after only two days' serious illness at St. Luke's hospital. Very few were even aware of his illness, as no mention of the same had been made in any of the papers. Dr. Marshall attended the Grand Army reunion at St. Paul last week and from there went to White Bear Lake in order to meet several young people who were contemplating attending the college this fall. While there he took a severe cold and when he reached this city Tuesday evening he was suffering intensely from the same. He went to his home for the night and remained there alone until the next day when his illness became so serious that he came down town for medical assistance. He was at once taken to the hospital where he was given all possible care, but pneumonia had developed in a most aggravated form. Last evening the physicians practically gave up hope of his recovery and at 10 O'clock this morning he breathed his last. Dr. Marshall came to this city nine years ago from New York state in order to take the presidency of Coe College. He has occupied that position ever since, and during his brief stay in the state has become one of its best known educators. He was enthusiastic in his educational work and much devoted to the interests of Coe College. He was a man of broad, liberal education who gave much attention to public matters. He served with distinction in the army as an officer and was a member of the G. A. R. and Loyal Legion. He has delivered several addresses before veteran associations and at meetings of the Loyal Legion, his favorite subject being General Grant. His lecture on that famous military leader has been regarded as one of the best that has ever been delivered. Dr. Marshall spent a part of the summer in the east and would have remained there until near the opening of the fall term of the college, but was called back to attend to important business connected with the institution. He was very hopeful of the future of the college and had been daily visiting since his return, various places in order to induce students to come here to secure an education. Dr. Marshall was much loved and always respected by the students of the college. His influence led them to hopeful anticipation of the highest ideals of life. He was not only scholarly but his mental attainments were tempered by deep piety; not that which makes men distrusted by the people, but that which wins respect and admiration. He was not a theorist. He had the rare faculty so often lacking in educators, of distinguishing between realism and that which is capable of standing the test of every day life. He separated the practical from the theoretical and directed his students how to use their attainments in the great struggle of actual life. His influence in this city has been of the best. He has won for Coe college not only the cordial support of the Presbyterians of northern Iowa, but has placed Coe college in a position that is seldom reached by an institution of its age and surroundings. He made high scholarship and not numbers the end to be attained, and the standing of the college in the state proves how well he succeeded. Only a few days ago he had a long talk with a Gazette representative. He told of his difficulties; how they had been overcome, and complimenting the board of trustees for their ever ready support, expressed anticipation of still better things for Coe. About four years ago Mrs. Marshall, his devoted wife was called away. No children survive them. James Marshall was born in Grove township, Alleghany county, N.Y., Oct. 4, 1834, of Scotch-Irish ancestry. His grandfather, a native of Pennsylvania, was a patriot soldier in the revolutionary war, who, early in the nineteenth century, settled in Livingston county, N.Y., near Conesus lake, where he raised a large family of children. His father, the eldest son, was born in Pennsylvania, but removed with the family to New York state, and served as a soldier in the war of 1812. After this he was married to a daughter of Samuel Stilwell, one of the early settlers of the Genesee valley, who was a son of Daniel Stilwell, a revolutionary patriot, who served with Washington at Monmouth and Trenton. She was, on her mother's side, descended from the Tennents of New Jersey, who founded the Log college at Neshaminy, Pa., the foundation of Nassau hall, afterwards Princeton college. Upon their marriage they located in Alleghany county where James was born, but removed the next year to near the homestead at Conesus lake. Here the son was debarred from the advantages of rapid progress at school, as a widowed mother and a large family of brothers and sisters were to be provided for. Health, purpose, economy and self-reliance removed the obstacle, and the district school, academy, seminary and teaching when seventeen years old, with hard work out of school hours, placed him at the very door of college, but with no surplus fund to carry him through the course. He therefore went to Akron, Ohio, and served as clerk for an elder brother and from there to Salem, Ohio, to take charge of a branch store. While at Salem Louis Kossuth passed through the town on his visit to America, and young Marshall was selected by the committee of the town as the orator to welcome the Hungarian patriot. He took up the study of law at Akron, and in September, 1853, was matriculated at Yale college, and was graduated in the class of 1857 an A. B. His partial support during his college course was derived from selling books during vacations, and this labor somewhat interfered with consecutive study. At Yale he took two prizes, one in debate, in a contest with the class of 1856, and one in oratory in his own class. 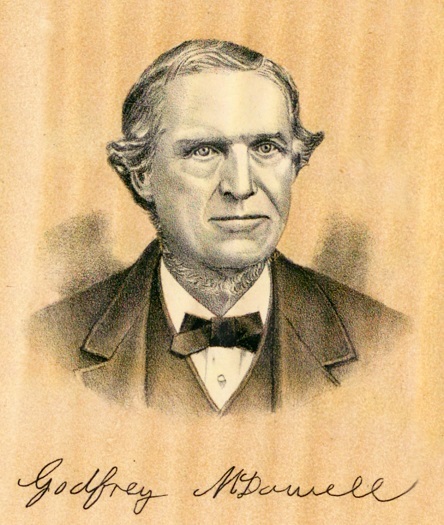 In 1857 Mr. Marshall studied law in Syracuse, N.Y. His life purpose was, however, changed while he was a law student, and he entered into active educational and religious work, refounding the Y. M. C. A. in Syracuse, establishing city missions and organizing the first city mission Sunday school, called the "Scatter-good," which was the foundation of the present Syracuse Memorial Presbyterian church. He gave up the study of law and opened a school for girls and young women which was eminently successful. In 1861 he entered the theological seminary at Princeton, studying the first year in the class of 1864. In the spring of 1862 he went to Washington, D.C., under the auspices of the American Tract Society, to teach refugees in that city and Alexandria, having been ordained an evangelist by the presbytery of Onondaga in June, 1862. He received a commission from President Lincoln as chaplain in the United States army in July, 1862. He was on duty as a United States army chaplain in the Chesapeake general hospital near Fortress Monroe for four years, being mustered out of the United States service in April, 1866. His services at this period were very important and form an eventful chapter in hospital life during the war. He secured the aid of Miss Dorothy L. Dix, Dr. S. L. Abbott and other philanthropists, and was associated with Rev. E. P. Roe in giving Christian burial to over 6,000 soldiers' bodies and gathering them into graves which afterwards became a national cemetery, in which, by his effort, was erected a monument seventy-five feet high, costing $15,000. Dr. Marshall then spent three years abroad in study and travel. He took a four years' course in theology in the New College of Edinburgh, also studying in Heidelberg, Berlin, Paris and London. He returned to the United States in 1869 and founded and became pastor of the Westminster Presbyterian church at Troy, N.Y. In 1872 he accepted the charge of the First Presbyterian church, Hoboken, N.J. In 1876 he took up his residence in New York city as pastor of the DeWitt Memorial church, built through Mr. Marshall's efforts by Maurice K. Jesup, at an expense of $80,000. He made in this church a new departure in city evangelization, in the poorer districts of the city, among the great middle class. As a traveler he studied Edward Dennison's work in London, and this knowledge was of great value in his New York City work among the middle and lower classes. He helped to organize and was the first president of the Lebanon club for working men, the first of its kind in New York City, and which afterwards became so effective in rescue work. He planned it after the coffee house work in England combining the coffee house music hall, amusement hall, library, reading room and lecture course. His health failing in 1883 he had to relinquish his New York City work and seek rest in the family home in Nunda, N.Y. While recuperating he declined the presidency of Ingham University, LeRoy, N.Y., and of Blairstown Presbyterian academy, New Jersey. In May, 1887, he accepted the presidency of Coe college and under his direction it has enlarged all its lines of educational work. It now has a fine corps of instructors and 150 students, with a library of several thousand volumes and a large museum. All departments are fully equipped for the best college work. Mr. Marshall was married October 3, 1866, to M. Jeanne, Daughter of Robert McNair, of Morris, N.Y. She was his companion in his studies and travels abroad and his efficient co-worker in his pastoral and college work at home up to the time of her death. Lenox college conferred upon him the degree of D. D. in 1887. 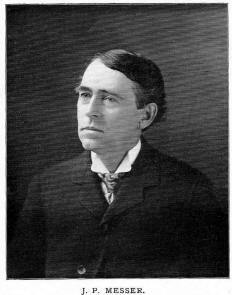 Among his published addresses and writings are "The Grounds of National Confidence," "Workingmen's Clubs," various sermons on the war, published while an army chaplain, Eulogies on Lincoln, Grant, F. C. Hormel, Robert Thompson Soutter and others; baccalaureates delivered to bodies of students from 1888 to 1894 and many magazine articles on living subjects, which entered into his varied and wide experience as a student, a traveler and army chaplain, a pastor, a missionary to the poor in a great city, a teacher and a college president; in all of which positions he was eminently successful, and in none more so than in the high and responsible position of college president. Source: The Coe College Cosmos, Cedar Rapids, IA October, 1896 p. 3-6. Vol. VII. NO. 1. Burgess Martin, who devotes his attention to the operation of a well improved and valuable farm of eighty-six and a half acres in Marion township, is a native of England, his birth having occurred in that country on the 28th of February, 1848. His parents, William and Ann Martin, spent their entire lives in England. Their children were nine in number, six of whom are yet living. Burgess Martin remained a resident of his native land until he had attained his majority. In 1870, having determined to establish his home in the new world, he crossed the Atlantic to the United States and located in Michigan, where he resided for two years. Since leaving the Wolverine state he has made his home in Linn county, Iowa, the period of his residence here therefore covering thirty-eight years. He secured employment as a farm hand and at the end of four years had accumulated sufficient capital to enable him to purchase land of his own, coming into possession of a tract of eighty-six and a half acres adjoining the city limits of Marion. As the years have gone by he has made many improvements on the farm and its splendid appearance indicates his careful supervision, progressive methods and practical ideas. Excellent crops are annually harvested in return for the cultivation bestowed upon the fields. On the 20th of December, 1872, Mr. Martin was united in marriage to Miss Sarah Cory, likewise a native of England and a daughter of William and Elizabeth Cory, who were also born in that country. They emigrated to the United States at an early day and spent the remainder of their lives in this county. Unto Mr. and Mrs. Martin were born seven children, namely: Charles, living in Linn county; May, the wife of Henry Vahl; Oscar, who is a resident of South Dakota; Clarence, of this county; Florence, a graduate of the Marion high school, who is still at home; and two who died in infancy. The wife and mother was called to her final rest in April, 1902, her remains being interred in the Oak Shade cemetery. Coming to this country in early manhood, Mr. Martin found the opportunities he sought and through their wise utilization has gained a place among the prosperous and respected citizens of his community. Source: History of Linn County Iowa, From Its Earliest Settlement to the Present Time, Vol. II, Chicago, The Pioneer Publishing Company, 1911, p. 185. In 1849 Mr. James Martin, with his wife and four children, Elmira, George, Lizzie and Nathaniel H. came to this place from Calaise, Maine. They have always been numbered among our best people. For many years, Mr. Martin was employed about the flouring mills, and the family kept a boarding house where all the comforts of a home were enjoyed by its patrons. Mr. Martin was quiet and unobtrusive in his manners, but he was a man of intelligence and of unimpeachable integrity of character. MrS. Martin was one of those motherly, kindhearted women that every body loved to meet. In times of sickness and bereavement she was always present with loving words of sympathy and willing hands to help. At such times here discreet counsels and her wise and loving ministrations were invaluable to the many anxious and suffering ones who sought and obtained her help in those times of need. Mrs. Martin, and I believe all of the children were members of the Methodist church. She died April 24, 1884. Mr. Martin departed this life at LaCross, Wisconsin, at the home of his daughter, Mrs. Elizabeth Gault, October 22, 1889. Miss Elmira, one of our purest and noblest Christian characters, died at the same place as that of her father, January 21, 1894. The remaining two children, George and Nathaniel H. are residents of this city, the former a well known conductor on the B., C. R. & N. Ry. And the latter a commercial traveler for one of our business houses. Source: Carroll, George R., Pioneer Life In and Around Cedar Rapids, Iowa From 1839 to 1849. Cedar Rapids, Times Printing and Binding House. 1895. Pages 176-7. Henry E. Mason, who is an enterprising and successful farmer of Bertram township, was born in Fairfield county, Ohio, on the 4th of October, 1851, a son of Robert and Susannah (Brauneller) Mason. The father was a native of Virginia, while the mother was born in the Buckeye state. They spent their married life in Ohio and to them were born ten children of whom four are deceased. With the exception of Henry lit all the others live in Ohio. Both the parents are now deceased, their death occurring in that state. Henry E. Mason was reared in the state of his nativity and assisted his father in his work until he had reached the age of twenty-six years. He then rented land in Ohio, which he operated for ten years, and subsequently sought the broader opportunities of the middle west, coming to Linn county, Iowa. He has made farming and stock-raising his work since coming to this state and now rents a farm of two hundred and forty acres in Bertram township. F., who married Flora Munn and lives at home; Orval C., who married a Miss Walters and lives in Bertram township; and Merrill M., still under the parental roof. In politics Mr. Mason is a republican and his fellow townsmen have called upon him to fill a number of local offices. He has served as alderman of Mount Vernon, has been school director and at the present time is serving as trustee of Bertram township. His fraternal relations connect him with Mount Vernon Lodge, No. 551, I. 0. 0. F., in which he has filled the chair of noble grand. 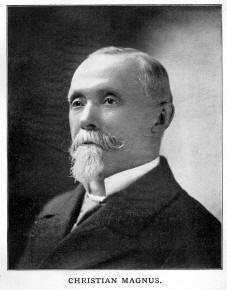 Both he and his wife are members of the Presbyterian church, in which he has served as trustee. Mr. Mason is a man of worth in the community in which he makes his home. He takes a deep interest in public affairs, lending his aid and influence in the cause of every good movement and heartily promoting the progress and advancement of his locality. Source: History of Linn County Iowa, From Its Earliest Settlement to the Present Time, Vol. II, Chicago, The Pioneer Publishing Company, 1911, p. 737. This well-known resident of Marion is one of the leading German-born citizens of the place, and in his successful career he has shown the characteristic thrift and enterprise of his race. Beginning with no capital except that acquired by his own industry, he met with excellent success in his farming operations for many years, and is now living retired. Mr. Mathes was born near Frankfort-on-the-Main, Germany, February 11, 1831, and is a son of Nicholas and Barbara (Fischer) Mathes, natives of the same place, where as farming people they spent their entire lives, the father dying at the advanced age of ninety-six years, the mother at the age of eighty-eight. Religiously they were members of the Lutheran church. They were parents of six children, namely: Margaret, Mary and Philip, all deceased; Nicholas, who came to Linn county, Iowa in 1856, and died here in 1889; Dorde, wife of Lewis Cager, of Johnson county, Iowa; and Benjamin. The subject of this sketch was reared and educated in his native land, and prior to coming to America he worked for one firm four years in the wholesale grocery business and the manufacture of soap and candles. It was in 1851 that he crossed the broad Atlantic and took up his residence in Lancaster county, Pennsylvania, where he was in the employ of the Safe Harbor Iron Works until August, 1855. The following two months were spent in Dubuque, Iowa, and at then end of that time he came to Marion with his brother and others. He brought with him three hundred dollars in gold, which he invested in city lots. After working for other for five years Mr. Mathes purchased a team and commenced breaking prairie. Subsequently he rented the Judge Walch farm in Marion township for two years, and at then end of that time purchased the place. As a farmer and stock raiser he met with marked success, and at one time owned three hundred acres of valuable and well-improved land in this county, which he sold on his removal to Marion in the fall of 1888, and has since laid aside all business cares, enjoying a well-earned rest. His present elegant home was built by him in 1897 at a cost of three thousand dollars. On the 2d of July, 1859, in Marion, was celebrated the marriage of Mr. Mathes and Miss Anna Schmidt, who was also born in Germany, and came to this country when fourteen years of age. Unto them were born the following children: Lizzie, wife of Sylvester Walser, a farmer of Otter Creek township, this county; Charles, a farmer of Johnson county, Iowa, whose wife, Minnie Grieshopper, died in September, 1895; Benjamin F., who married Ada Strucker, and follows farming in Otter Creek township, Linn county; John, who married Anna Cannon, and is employed in a hardware store in Marion; Lewis E., who married Flora Carpenter, and is clerking in a grocery store in Marion; and Robert Wesley, at home. In his religious belief Mr. Mathes is a Lutheran, and in his political affiliations is a Republican. He has served as a delegate to the conventions of his party, and has most capable filled the office of school director, giving his unqualified support to any enterprise which he believes will advance the moral, educational or material welfare of his adopted county. He has always been a very steady, hard-working man, and well deserves the success that has come to him. Source: The Biographical Record of Linn County Iowa, Illustrated, Chicago: The S. J. Clarke Publishing Company, 1901, pages 145-146. John Nicholas Mathes, deceased, was for several years an honored and highly respected citizen of Linn county, his last days being spent in the city of Marion, where he died on the 24th of October, 1889. A native of Germany, he was born near Frankfort-on-the-Main November 13, 1825, his parents being Nicholas and Barbara (Fischer) Mathes, who were life-long residents of that place. The father, who was a farmer by occupation, died at the advanced age of ninety-six years, and the mother passed away at the age of eighty-eight. Religiously they were members of the Lutheran church. Their children were Margaret, Mary, Philip and John Nicholas, all deceased; Dorothy, wife of Lewis Zanger, of Johnson county, Iowa; and Benjamin, who is represented on another page of this volume. The subject of this sketch grew to manhood in Germany, and in 1849 emigrated to the new world, locating first in Columbia, Pennsylvania, where he was engaged in mining for two years. He was next employed in the iron works at Safe Harbor, that state, until 1855, when he and his brother Benjamin came west. After spending the winter in Dubuque, Iowa, they came to Linn county in the spring of 1856, and our subject engaged in teaming in Marion until 1862, when he purchased a slightly improved farm of one hundred and twenty acres in Otter Creek township. To the further improvement and cultivation of that place he devoted his time and attention for seven years. On selling that farm in 1869, he bought two hundred and eighty acres of land in Long Grove township, eighty acres of which had been placed under cultivation, and he continued to engage in agricultural pursuits on that place until his removal to Marion in 1874, making his home there until his death. There he dealt in wood and also engaged in teaming to some extent. He was very industrious and energetic, and developed one of the best farms in Linn county. On the 4th of May, 1851, in Columbia, Pennsylvania, Mr. Mathes married Miss Anna Mary Darmstetter, who was born March 20, 1826, near his birthplace in Germany, and came with her mother to America in 1850. Her father, George Darmstetter, died in Germany. The other children of his family were George, who died in Germany; Barbara Mary, deceased; and Katie, wife of Mark Swain, of Chicago. Of the several children born to Mr. and Mrs. Mathes all died young with the exception of two, namely: Kate married William Corum, who died in 1885, and she departed this life in 1873. They had two children: William, who died at the age of three years; and Anna Frances, wife of John Mathes, by whom she has one child Anna Bernice. Benjamin, son our subject, died at the age of fourteen years. Mr. Mathes and his family held membership in the Evangelical Lutheran church of Marion, and were among the most highly respected citizens of the community. He led an honorable and useful life, and due success was not denied him, so that at his death he was able to leave his widow in comfortable circumstances. She is a most estimable lady, and has a large circle of friends and acquaintances in Marion. Source: The Biographical Record of Linn County Iowa, Illustrated, Chicago: The S. J. Clarke Publishing Company, 1901, pages 180-183. COL. JOHN M. MAY, one of the leading citizens of Cedar Rapids, Iowa, and whose portrait is given on the opposite page, is known throughout the country for his enterprise, worth, integrity and liberality. He was born in Washington County, N. Y., and is a son of Ellis and Mary (Wells) May, natives of Dedham, Mass., and Cambridge, N. Y., respectively, and who were married in 1797. The father of our subject was born in 1772, aud his wife in 1778. They settled on a large farm adjoining Union Milage, Washington Co., N. Y., where all their children were born. A thorough and prosperous farmer, adding farm to farm, and a Deacon in the Presbyterian Church, he was social, hospitable and philanthropic in a marked degree, and lived a married life of more than fifty-five years. He and his wife reared to manhood and womanhood twelve children, only three of whom are now living: Philander F., of Nashua, Iowa; John M.. of this county, and Lucius S., of Rochester, N. Y. Few families had more careful culture and religious training by pious parents than that of our subject. The eldest brother became an able and highly-esteemed Presbyterian minister; two others were judicious medical practitioners, and all were respected and useful citizens. Col. John M. May was educated for the legal profession, and practiced chiefly in the Federal courts, making a specialty of patent cases, in which department of jurisprudence lie achieved marked success. His taste for this branch of the profession was awakened at an early age by listening to the great Daniel Webster in appealed patent cases, in the Supreme Court of the United States (full bench), in the city of Washington, notably the celebrated Woodworth Planing Machine patent cases, so long in litigation and involving large sums of money. Thus fostered, with his skill and knowledge of the mechanical arts, he possessed great advantages. Col. May has done much in inventing and bringing into use many valuable improvements of his own, besides securing patents for others. There have been issued to him by the United States Patent Office over twenty patents of his own inventions, including steel plows, pumps, wind-mills, corn-planters, quartz-rock crushing machinery, oscillating barbs for wire fence to prevent the laceration of animals coming in contact, yet retaining their repelling qualities, railroad rails and railroad wheels and axles. He is now engaged in perfecting his automatic railroad trucks, for obviating the friction of wheels against rails on curves on the allignment of railroads, and has built a few hundred feet of railroad track for conducting his experiments. When residing in Wisconsin Col. May was a successful manufacturer of agricultural implements, especially his steel plow, that obtained great popularity and was the leading plow as early as 1850, taking the first premium in the city of Chicago, in sharp competition, at the third annual fair of the Chicago Mechanics' Institute. He also established a literary and family newspaper, the Northwestern Advance, in the city of Janesville, Wis., removed it to Milwaukee, conducted it successfully for three years, making it "metropolitan in every respect," and sold it to parties in that city. The subject of our sketch is a member of the Congregational Church, and a liberal giver to all institutions of merit, and has never been known to turn a deaf ear to true charity, a trait inherited from his revered parents. When times are hard and work difficult to procure he contrives some useful employment for willing hands, thus earning the “richest of crowns – the blessings of the poor." With the temperance movement he has ever been identified. He was initiated into the Sons of Temperance order at Philadelphia. Pa., at its early organization, and became the Grand Worthy Patriarch of the Grand Division of Wisconsin, on his removal to that then Territory, and personally organized twenty subordinate divisions. The order flourished many years, and was succeeded by the Good Templars, the more excellent ritual and efficiency of the latter meeting his hearty approbation, and he was for many years one of its Worthy Chief Templars. These organizations and their noble work are reminiscences that he cherishes. With the Masonic and I. O. O. F. institutions Col. May was also identified, and built for them their first hall in his adopted city. Later his work in the Masonic fraternity was chiefly in the Chapter and Commandery, ever deeming the salutary influences of these several orders second only to that of the Church and the Bible. With the Republican party he has been identified since its organization, and has always taken a deep interest in its success, cheerfully sharing its burdens. One of his elder brothers, skilled in military tactics, taught classes in the use of arms, particularly the sword exercise. Our subject held commissions from two of the Governors of the State of New York as a staff officer, with the rank of Major, before the memorable “go West, young man” was promulgated; and in Wisconsin, in its Territorial days, held a like commission, and after it became a State, and its military organization completed, he was commissioned a military engineer, on Maj.-Gen. Sutherland's Staff, with the rank of Colonel. This was during the Southern Rebellion, at a time when another call for troops was expected, but the Rebellion was approaching its culmination and failure. In the early years of the war Congress passed a law that those not liable to draft could send representative recruits, if they chose, to fill the depleted ranks of the armies at the front. Col. May and two of his fellow-citizens sent each a recruit at a cost of $1,000 each, besides contributing freely for the boys in blue. between Cedar Rapids and West Cedar Rapids, and connected with each by iron bridges, also by a double track street railway. On this island he has already expended about $25,000, largely in fortifying and strengthening it. On the island now reside six families, and his own office, fronting on Island avenue. About half its area is a fine garden, and the balance is heavily timbered, which he preserves with care. Many native song birds make it their summer home, adding to its attractions as a summer resort, and to kill or even frighten them is to incur the decided displeasure of the owner. He has also laid out a town – Mayfield – on the B., C. R. & N. R. R., adjoining the city of Cedar Rapids on the south. On this plat there is an abundance of building stone, also exhaustless beds of unexcelled clay, suitable for drain tile, pressed brick, sewer pipe and pottery ware. The name Mayfield is given in honor of the beautiful and wealthy English village of that name a few miles south of London, to which his family ancestry is traced to the early date of 1640. We glean this from an elaborate volume, entitled “Genealogy of the May Family,” a second and enlarged edition now in press. He has projected a site for a manufacturing city, also, at the town of Cedar Bluffs, on the Cellar River, in Cedar County. Iowa, about thirty miles southeast from Cedar Rapids, having purchased farming and timber land and extensive quarries of the Anamosa stone formation, and organized a company for its improvement. The water-power here is pronounced the best in the State for volume and safety. Situated in one of the richest and best agricultural counties in Iowa, settled by an intelligent, industrious and thrifty people, the Bluffs is already quite a business center. In Fairview Township, adjoining the city of Anamosa. in Jones County. Iowa. Col. May has farming, timber and quarry lands, the latter traversed three-fourths of a mile by the C. M. & St. P. R. R. His benevolent disposition is indicated by his having already given ten city lots as sites for manufacturing industries and for church and Sunday-school purposes without denominational bias. Substantially a self-made man. Col. May belongs to a class whose characteristics in every-day life are patriotism, intelligence and integrity. Among Cedar Rapids' honored and highly esteemed citizens is numbered the subject of this sketch, who was for many years one of the leading physicians of the city, but is now practically living a retired life, enjoying a rest which he has truly earned. He came here in 1866 from Guernsey county, Ohio, and at once became prominently identified with the interests of the city. The Doctor is a native of Ohio, born in New Athens, Harrison county, January __, 1821, and is a son of John and Mary (Urey) McClenahan, who were born in Ireland of Scotch-Irish parentage. Throughout life the father followed the occupation of farming and died in Fairview, Ohio, at the age of seventy-four years. The mother was seventy-eight years of age at the time of her death. In their family were eleven children, one of whom died in early childhood, and all are now deceased with exception of our subject. His brother Robert died in De Witt, Iowa, in 1900, aged ninety-one years. During his boyhood Dr. McClenahan pursued his studies in the log schoolhouses then common in Ohio, but his early educational advantages were rather limited. He remained on the home farm, assisting in its work until twenty years of age, when he entered Antrim College. Later he took a preparatory course at New Concord, Ohio, and then studied medicine with Dr. James Campbell, of Middletown, Ohio, for three years. He subsequently took a course of lecturers at the Starling Medical College of Columbus, Ohio, but during the rush to see the gold fields of California in 1849 he made a trip overland with an ox-team, being enroute from May till September, 1849, and spent about a year in the mines. On his return to Ohio he completed his medical course and was graduated in the spring of 1853 with the degree of M. D. from Starling. He was then engaged in practice at Fairview, Ohio, until coming to Cedar Rapids in 1866. The Doctor first came to Iowa, in 1854 and entered land in Benton county, but did not locate here until his removal to Cedar Rapids in 1866. This city was then a small town of about five thousand inhabitants. Finding that there were good schools for his children to attend, he decided to make this his permanent home, and purchased property here. He was not long in building up a large and lucrative practice, which in early days extended to many surrounding towns and other counties, and he continued to successfully engage in general practice until 1898, since which time he has lived retired, though he still visits some of his old patients who will have no other physician. For many years he was a member of the Linn County Medical Society. He is one of the early stockholders in the Water Company. In early life Dr. McClenahan was a Whig in politics and cast his first presidential vote for Henry Clay, and since the dissolution of that party has been an ardent Republican. He is an active and faithful member of the United Presbyterian church, and has always been a liberal contributor to the charitable institutions of the city, in Manner he is quiet and unassuming, yet very popular, makes friends wherever he goes, and is held in high regard by old and young, rich and poor. Source: The Biographical Record of Linn County Iowa, Illustrated, Chicago: The S. J. Clarke Publishing Company, 1901, pages 60-61. WILLIS A. McCONKIE, M. D.
The name of iM7cConkie has figured prominently in connection with the medical profession of Cedar Rapids for twenty-two years and for much of this time Dr. Willis A. McConkie has been a practitioner. Joining his father, an eminent physician, his reputation rivals that of the senior physician and his ability has gained him marked distinction as one of the best informed and most capable practitioners of the city. His birth occurred at Canal Winchester, Franklin county, Ohio, January 16, 1865. When two years of age he was taken by his parents to Allegan, Michigan, where he lived for twelve years, acquiring his early education in the schools of that place. He afterward was a student for one year in the high school at Traverse City in Grand Traverse county and subsequently entered the University of Michigan at Ann Arbor, where he completed the classical course. Entering upon the study of medicine in the same institution, he was graduated with the class of 1889 and then came to Cedar Rapids to join his father who had opened an office here the previous year. The partnership that was then formed has since been maintained, although Dr. James J. McConkie has practically retired from the profession, leaving the burden of the practice upon the young man whose ever-increasing ability well qualifies him for the onerous and responsible duties that devolve upon the capable and conscientious physician. He has further qualified for his chosen life work by a post-graduate course in Chicago in 1899 and private reading and research keep him in touch with the most advanced thought of the profession. In 1892 Dr. McConkie was united in marriage to Miss Mary Elsie McDaniel of Cedar Rapids and they have become the parents of seven children, one of whom died in infancy, while six are yet living. Dr. McConkie takes an active and helpful interest in the welfare and growth of the city. He became a member of the Presbyterian church in early life and is still identified therewith as an active worker in the church and Sunday school. His political affiliation for a few years was with the prohibition party but of late years his support has been mainly given to the republican party. Close attention has precluded his active participation in political affairs, yet he is never remiss in the duties of citizenship and aids in many progressive public movements. Notwithstanding all this his attention is chiefly fixed upon his chosen life work and he is deeply interested in anything which tends to bring to man the key to the complex mystery which we call life. In a profession where advancement must depend entirely upon individual merit, he has made continuous progress and held to high ideals and his course will undoubtedly be marked by further advancement and higher professional attainments and success. Source: History of Linn County Iowa, From Its Earliest Settlement to the Present Time, Vol. II, Chicago, The Pioneer Publishing Company, 1911, p. 50-1.
when in its infancy and aided the young territory in establishing itself as one of the future States of the Union, that of our subject is entitled to a place in the front rank. He came here in the strength of his young manhood, when his heart and hands were well calculated to begin the battle of life with prospects of attaining success. The country was very thinly settled upon his arrival here, and its solitude was seldom broken except by the tread of the Indian and the wild animals that sought shelter among the primitive forests. The homestead farm of Mr. McDowell is finely located on section 1, Fairfax Township, and consists of 240 acres. He is also the owner of the undivided half of thirty-five acres on section 10, and twenty acres within the corporate limits of Cedar Rapids. He is a practical and enterprising farmer, and with his agricultural pursuits has combined the raising of line stock, at which he has become very successful, and produces some of the best grades of cattle to be found in the county. The homestead is noted for its fine buildings, its comfortable dwelling, and excellent barns, and everything about it is of that substantial character which indicates ample means and a wise judgment in its disbursement. Godfrey McDowell is a native of Westmoreland County, Pa., and was born March 24, 1829. The name of his father was John A. McDowell. He was a farmer by occupation and of German-Scotch ancestry. The marriage of the parents occurred in Westmoreland County, Pa., and the maiden name of the mother was Mary A. Keltz. She was also a native of Pennsylvania, and it is supposed of similar ancestry to her husband. They carried on agricultural pursuits successfully in Westmoreland County, accumulating a good deal of property, and terminated their lives there, having well earned the respect and esteem of their neighbors and fellow-citizens. They were prominent members of the Presbyterian Church, and in polities the father was an old-line Whig. The subject of our sketch remained at home with his parents until he arrived at man's estate, when he became an apprentice to learn the carpenter and joiner's trade, under Isaac Barron, of Westmoreland County. Pa. He served faithfully for the space of two and a half years and became quite an expert at his calling. He determined to seek his fortune in the West, and arrived within the boundaries of the Hawkeye State in 1852, locating for a time in Cedar Rapids City, soon after proceeding to Fairfax Township, where he purchased a tract of land of eighty acres of a brother who had preceded him to this vicinity. It was partly improved, and Mr. McDowell immediately sel to work to further prepare it for the raising of farm produce. At the same time he did not abandon his trade, but pursued it whenever the duties of the farm permitted. He has had a hand in the erection of many of the important buildings in his township, and especially in his immediate neighborhood. He has met with success in all of his important enterprises, and has greatly aided in building up the community of which he was one of the earliest members. Godfrey McDowell and Miss Keziah Burkholder were united in marriage in Westmoreland County, Pa., Feb. 1, 1855. Mrs. McDowell is a Pennsylvania lady, and a native of Westmoreland County, where she was born March 26, 1830. She remained in the home of her parents until her marriage, receiving a fair education in the public schools. Her father, Joseph Burkholder, was a native of Pennsylvania, of pure German descent, and with the exception of ten years passed in Iowa, spent most of his life there. He died in the fall of 1880. The maiden name of his wife was Cloranna M. Gelvin. She was a native of Franklin County. Pa., and died at the home of her eldest daughter, Mrs. Campbcll, in Westmoreland County, about the year 1876. Mrs. McDowell was one of the elder children of her father's family, and by her union with our subject four children have been born, viz. : Clara M., wife of Frank Beebe, now living in Fairfax Township and operating a part of the McDowell homestead; Martha A. is the wife of G. W. Ryder, a successful farmer in Greene County, Iowa; Anna M. remains under the parental roof and administers to the comfort of her parents; Joseph A. died when a child of thirteen months. minor offices of his township. He is a stanch Republican, and with his amiable and accomplished lady occupies a high position in the community. Source: Portrait & Biographical Record of Linn County Iowa, 1887, pages 457 & 458. John McHugh, deceased, was for many years one of the leading farmers and highly respected citizens of Franklin township. He was born in Sligo, Ireland, in June, 1825, and was educated in the national schools of that country, but his school privileges were very limited. At the age of nineteen years he emigrated to America, the voyage being made on a sailing vessel and lasting over two months. He landed in New York and soon obtained work on a fruit farm in New Jersey, though not far from the eastern metropolis, which was the market place for the farmers in the neighborhood. He remained there seven years, receiving four dollars per month for his services. In 1855 Mr. McHugh came to Linn county, Iowa, and first located at Mr. Vernon, where he worked by the day, often being paid in chickens, pigs, etc., for his labor. At that time wild hogs, turkeys, prairie chickens and other game was plentiful, and much of the land in this locality was still in its primitive condition. He did his first farm work with a team of oxen. As soon as he was able Mr. McHugh purchased eighty acres of land in Franklin township, to which he subsequently added a tract of twenty acres, and after residing thereon until 1884, when he sold that place, and removed to the farm which his family still occupy. This consists of two hundred and one acres on sections 23 and 26, Franklin township, and to its cultivation and improvement he devoted his energies until called to his final rest June 29, 1892. He was a devout member of the Catholic church, and was buried in the Catholic cemetery at Lisbon. In politics he was a Democrat, and he filled the office of school director for a number of years. About 1850 Mr. McHugh married Miss Ann Kilkinney, a native of county Galway, Ireland, who died in 1867 and was also buried in Lisbon. By that union he had three children, namely: (I) Margaret, born August 20, 1857, is the wife of John Butler, of White Oak, Greenfield township, Jones county, Iowa, and they have three children, Edward, Mary and Alice. (2) Mary, born November 15, 1851, died at the age of thirty years. (3) Catherine, born January 3, 1862, is the wife of Fred Emerson, who lives south of Tipton, Iowa, and they have six children, Ross, Clara, Eva, Emily, Hiram and Stonerook. Mr. McHugh was again married, at Tipton, Iowa, April 27, 1879, his second union being with Miss Annie J. Drury, who was born in Boyle, Roscommon, Ireland, June 24, 1844, a daughter of Edward and Bridget (Murray) Drury, also natives of Roscommon. The father died when Mrs. McHugh was only three years old, and the mother subsequently married Patrick McCauly, of Boyle, county Roscommon, where her death occurred in March, 1877. Mr. McCauly died in 1890. Of the four children born of the first union Mrs. McHugh is the only one now living. Those by the second marriage were Winnefred, who died in Los Angeles, California, in April, 1893, at the age of forty years; James died in St. Louis, Missouri, in the fall of 1887, at the age of thirty-eight years; Mary is the wife of Michael H. Duggan, of Los Angeles; Bessie is a resident of San Francisco, California; Patrick married Margaret Brown and lives at Delmar, Clinton county, Iowa; and Ann is the wife of Thomas Boyton, of Boyle, county Roscommon, Ireland. By his second marriage Mr. McHugh had two children, but the older died in infancy. John Edward, born March 2, 1881, was educated in the district schools near his home and the Mt. Vernon high school. He is now managing the home farm, and is one of the most energetic and successful young farmers of Linn county. He raises a high grade of horses, cattle, sheep and hogs for market, but notwithstanding his numerous farm duties he still finds time to devote to literary pursuits, and is a well-informed young man. He is a member of the Catholic church of Lisbon, and a supporter of the Democratic party. Source: The Biographical Record of Linn County Iowa, Illustrated, Chicago: The S. J. Clarke Publishing Company, 1901, pages 72-3. Andrew J. McKean was born in Bradford County, Pennsylvania, October 3, 1816. His ancestors were from Scotland, and settled in Maryland about four generations ago, and are now scattered over several states of the Union. His grandfather resided a long time in Pennsylvania, where he died many yhears ag, leaving a family. His father, Robert McKean, married Martha Wilson, and had eight children. He died about 1826, and his wife in 1862. Young McKean resided with his parents until he was twelve years of age, and then went to live with his grandfather, Noah Wilson, of Alba, Pennsylvania, and remained till 1834. He was educated in the common schools, and taught several winters, thus aiding in the support of his mother and younger brothers and sisters. In June 1838, in company with H. W. Gran and Alonzo Pratt, he started for the West, traveling over Illinois and Iowa, and finally settled in Linn County, near Mt. Vernon. In removing there has since made it his home. In 1854 he was elected Clerk of the District court, which position he held till January, 1973 – a period of eighteen years, in the meantime dealing to advantage in real estate. In December, 1972, he purchased an interest in the only bookstore in Marion, the firm being McKean & Gibson, and has since assisted in its management. Mr. McKean married Abiah Day November, 1842, and by her has had nine children, four of whom are living. She died in 1861, and he was again married in 1863 to Phoebe L. Hickok, of Pennsylvania. Mr. McKean is a Republican, and has been identified with that party since its organization. BRIG. GEN. THOMAS J. McKEAN, deceased, a veteran of three wars, and a distinguished pioneer of Linn County of 1840, was born Aug. 3, 1810, in Bradford County, Pa. His parents were Robert and Martha (Wilson) McKean, the former born in Maryland, of Scotch ancestry, and the latter in Vermont, a descendant of an old New England family. Thomas J. was the second in order of birth in a family of eight children, two of whom are still living – Andrew J., of Marion, and N. W. McKean, of Mt. Vernon, Iowa. Thomas J. passed his boyhood on his father's farm, receiving his primary education in the public schools. At the age of seventeen, through the influence of his uncle, Samuel McKean, then a member of Congress, and later a United States Senator from Pennsylvania, he was appointed a cadet at West Point. He entered the Military Academy on the 4th of July, 1828, where he took a three years' course, and from which he graduated in 1831. He was commissioned Second Lieutenant of the 4th United States Infantry, and entered the service in July following, 1831. He continued in the United States service from March, 1831, until 1834, when he resigned, and engaged in civil engineering, accepting the position of Chief Engineer of the New Orleans Railway & Canal Co. His health becoming impaired by exposure to the malaria of the Southern swamps, he was forced to resign, and returned to his Northern home. On the breaking out of the Florida Indian War in 1837, our subject was commissioned Lieutenant in a Pennsylvanian regiment of volunteers; was promoted to Adjutant of the regiment, and served with distinction till the close of the war, in April, 1838. He was elected Major on the field to fill a vacancy, but the time of enlistment of the regiment having expired, it was mustered out before his commission was received. On his return from the war, he resumed his profession and was employed in civil engineering in Southern Illinois from the summer of 1838 until 1840, when he came to Marion, this State. He served two terms as County Surveyor of Linn County, and was also employed on Government surveys and in civil engineering throughout the State. In 1844 he was chosen a member of the convention called to frame the first Constitution of Iowa, and served as a member of that body. On the occurrence of the war with Mexico, he began, in the winter of 1846 - 47, to raise and drill a regiment for that service, with a fair expectation of being one of the field officers of the regiment, but the ten United States Regiments being substituted for State volunteers, the volunteer organizations were disbanded and the appointment of officers thrown nominally into the hands of the President, but really into the hands of Congressional delegations, instead of being left to an election by the men. Being a Whig in politics he was on the wrong side to expect any favors from the party in power, in the then high state of party feeling prevailing in Iowa. But being determined to have a hand in the war, he enlisted, in April, 1847, as a private of Co. K, 15th Vol. Inf., one of the regiments of which Col. George W. Morgan was in command. On the 15th of May following, our subject was appointed Sergeant Major of the regiment, and in this capacity served in the battles of Contreras, Cherubusco, Molino del Rey and Chapultepec. He distinguished himself in the main assaulting column on the castle of Chapultepec, and in the battle around the city of Mexico. For his meritorious conduct he received an appointment as Second Lieutenant in the 2d Regiment U. S. Dragoons, which was promptly declined. He continued in service until after peace was declared and the regiment was disbanded, Aug. 7, 1848. Doud, became the father of five children, two sons and three daughters, of whom Mrs. McKean is one. She was educated at Wellsboro Academy, Pa., and graduated therefrom when seventeen years of age. She followed teaching for four years, coming to Iowa in 1845. Five children were born to the union of Gen. McKean and wife, of whom two died in infancy. Two sons and a daughter lived to the age of maturity: Louis L., the eldest, is now living in Montana Territory; Helen became the wife of Dr. M. L. Shuck, of Clarence, Iowa, and died Oct. 24, 1885; the younger son is the present efficient Deputy Recorder of Linn County. After his return from the Mexican War, Maj. McKean again engaged in civil engineering, through 1848-51, being chief engineer of the Dubuque & Keokuk Railway. Through 1851-53 he was United States Deputy Surveyor General of Iowa and Wisconsin, he was elected Sheriff of Linn County, for the term of 1861, but resigned June 1, 1861, to enter the service of the late Civil War. He was appointed additional Paymaster of the United States Army, and entered upon the duties of the office at Washington, D. C. He received notice of his appointment as Brigadier General, United States Volunteers, on the 27th of November, 1862, and, in accordance with instructions, reported to Maj. Gen. Halleck, Commander of the Department of Missouri. On the 8th of April he reported to Maj. Gen. Grant at Pittsburg Landing, and was assigned to the 6th division of the Army of the Tennessee, which had formerly been Gen. Prentiss', who was captured at Shiloh. 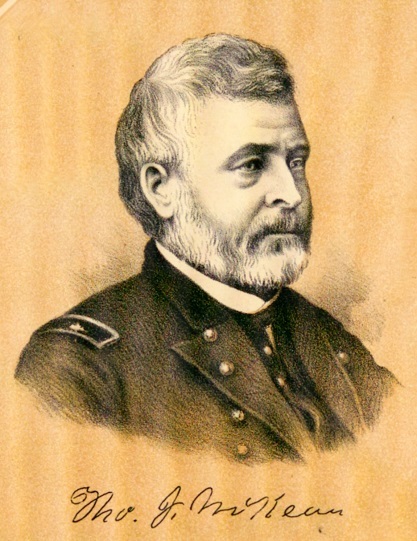 July 16, 1862, he look command at Benton Barracks, and on the llth of September was transferred to the Army of the Tennessee, and on the 27th of that month he took command of the 6th division, which he directed during the battle of Corinth. Nov. 17, 1862, he was placed in command of the 4th division, and participated in the Grenada expedition, commanding the districts of Nebraska and South Kansas. In 1864 he reported to Gen. Banks at New Orleans, and September 18 became Chief of Cavalry of the Department of the Gulf. He served as President of the Military Court, and was given command of the district of West Florida and subsequently of Southwest Missouri. Gen. McKean continued in the service till the close of the war, doing duty most of the time as Major General, and was honorably discharged Aug. 24, 1865, as Brevet Major General; 114 other general officers were discharged by the same general order, No. 135, from the War Department. The entire period of our subject's service, including regular army and volunteer, was about thirteen years. In June, 1868, Gen. McKean received a paralytic stroke, which seriously impaired both mind and body. A second stroke in July, 1869, confined him to his house and bed much of the time, and on the 18th of April, 1870, the last and fatal stroke came, resulting in his death about 6 P. M. of the 19th. Thus closed the earthly career of a brave and gallant soldier and a skillful General, who had served his country with zeal and ability through three wars. As a neighbor and friend he was held in high esteem. Unassuming and retiring in his disposition, he seldom alluded to the trying scenes of his military career. He was a kind father, an affectionate husband, and leaves his wife and children a rich legacy in the history of an honorable, upright life, distinguished by a brilliant, useful and patriotic career. 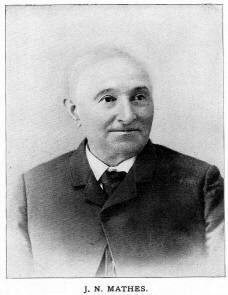 Source: Portrait & Biographical Record of Linn County Iowa, 1887, pages 197 & 198. DAVID McKINNON, deceased, was a highly respected pioneer of Linn County, and a prominent stock-grower, and occupied his comfortable homestead enjoying, in a large measure, the friendship and esteem of those who had known him for a long term of years. He was a native of Scotland, of good old Scottish ancestry, born in Sterlingshire, Sept. 9, 1812, and was reared, as were many of the Scottish farmers, on a small tract of land, the agriculturist of that country possessing only a limited idea of farming as it is carried on in the New World. He had, however, read the glowing accounts of what might be accomplished by men of energy in the United States, and he resolved to come hither with the hopes of bettering his financial condition. His first location was made in Linn County, and after a few years he sent for the balance of his family, who left their native land and joined him here. He took up tract of unbroken land in Fairfax Township, being the first settler in that locality, and his nearest neighbor three miles away. In this solitude he lived by himself for a time, enjoying only occasionally the company of some roving Indian who strayed that way, and of whom he was seldom afraid. In the absence of the redskins, he consoled himself in the companionship of a hen and chickens, which he valued very highly, as their cackle and crow reminded him of the happy days in his Scottish home. In due time, when he felt that his means would justify the step, Mr. McKinnon took unto himself a life partner in the person of Miss Elizabeth Risk, who had come to America in company with her sister when they were both young ladies. Their marriage occurred April 13, 1858. She was also a native of the same shire as her husband, and was born May 4, 1825. They located in Canada West upon their arrival here, and afterward proceeded to Linn County. It is possible that the plans of herself and her future husband were laid before his emigration to the United States. Her parents hail departed this life in Scotland some years before she left her native land. The union of Mr. McKinnon and wife was blest by the birth of five children, all living and at home. Their names are Jeannetta, George, Mary, Alex and David. Mr. McKinnon departed this life Dec. 5, 1882. Mrs. McKinnon and family are members of the First Presbyterian Church, our subject being one of the founders of the society in this place. In politics he was a solid Republican, believing that the principles of that party are the principles best calculated to promote the interests of his adopted country. Mr. McKinnon was fully worthy to receive the title of an honest man and a good citizen. From his early youth he was imbued with high moral principles, and has transmitted these to the sons who have risen up to do him honor, lie will long be remembered in his township as one whose place it will be difficult to fill. His portrait, which will be found on another page of this work, will be highly appreciated by all who knew him. James H. McLaughlin, a prosperous farmer and highly esteemed citizen of Franklin township, whose farm is pleasantly located on section 17, was born in that township on the 23d of August, 1843, and has there spent his entire life. His father, John McLaughlin, was born in Ireland November 15, 1799, and on his emigration to America located first in the east, where he was married, August 26, 1826, to Miss Arsa Kimball, who was born in Vermont January 20, 1805. Soon after their marriage they removed to Illinois, and during the ‘30s came to Linn county, Iowa, being among the pioneer settlers of this locality. Locating in Franklin township, the father entered the land on which our subject now resides, and made his home there until his death. He started overland for California, but became ill before reaching thee and died in Oregon in 1849, his remains being interred in that state. His wife died September 30, 1873, and was buried at Mt. Vernon. They had nine children, namely: George, who married Cassie Morford and resided in La Fayette, Iowa; he died in the service of his country during the Civil war. Nancy is the wife of William Hunt, of Redland, California. Lucy married Bert Sargent, of Franklin township, this county, and both are now deceased. 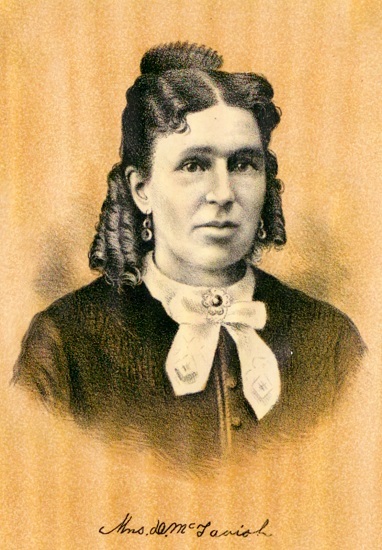 Hiram, deceased, first married Jane Carnahan, and after her death wedded Elizabeth Horn, and resided in Lincoln, Nebraska. Sarah married Joseph Carnahan, who died in the service during the Civil war, and she is now the wife of John Denaway, of Jasper county, Iowa. John died at the age of eight years. Elvira married Demott Rose, who died in Franklin township, this county, and later wedded a Mr. Schwatzel, of Kansas, where her death occurred, though her remains were brought back to Mt. Vernon for interment. Caroline is the wife of Scott Thomas, of Garnet, Kansas. James H., our subject, is the youngest of the family. Mr. McLaughlin of this review pursued his studies in the public school until eighteen years of age, and since then devoted his entire time and attention to general farming and stock raising. After his marriage he purchased the interests of the other heirs in the old homestead, consisting of one hundred and eighty acres of land on section 17, Franklin township, and has since added to it, making a good farm of two hundred and twenty acres, which he has brought to a high state of cultivation. He has built a good house, two large barns and numerous cattle sheds, and now has a well-improved and attractive farm. He makes a specialty of stock raising, and being an excellent judge of cattle, horses and hogs he keeps only the best grades of stock upon the farm. The Republican party finds in him a stanch supporter of its principles, but he has always refused to hold public office, preferring to devote his undivided attention to his business interests. On the 4th of July, 1864, in Marion, Iowa, Mr. McLaughlin married Miss Margaret Ann Waln, and they have become the parents of ten children, namely: (1) George William, born July 17, 1865, follows farming in Franklin township. He was married, August 27, 1884, to Isabel McIntosh, and they had four children, Darlie, Ina, Clara and Anna, of whom the last two are now deceased. (2) Francis H., born January 25, 1867, was married August 27, 1884, to Chet Litts and resides near Toddville, Iowa. They have two children, Mabel and Edith. (3) Peter, born in 1869, died at the age of two years. (4) Polly born in 1870, died at the age of eight months. (5) Thomas H., born March 4, 1872, (6) Nettie M. born January 22, 1874, (7) Fred Harvey, born April 23, 1876, (8) Cora A., born October 25, 1878, (9) Rosie J. born February 25, 1880, and (10) Nellie E. born February 18, 1884, are all at home. Mrs. McLaughlin was born in Linn county October 20, 1848, and is a daughter of William H. and Fannie (Burge) Waln, the former a native of Ohio the latter of Greene county, Pennsylvania. Her great-grandfather on the maternal side was a Mr. Barnett, who was drafted and served forty years in the Swiss army before coming to America, and in this country took part in the war. He had two daughters, both of whom married Walns. Mrs. McLaughlin’s parents were married in this county and made their home on what was known as the William Waln farm until the father’s death, he being killed in a tornado in 1860. The following four years he conducted the farm alone, and in 1864 she married Silas Bailey, and continued to make their home on the farm one year, when they sold their property and moved to Creston, Iowa, where they lived till 1874, when the property there was sold and she returned to Linn county and remained one year. At the end of that period she rejoined her husband and removed to Nebraska, where they purchased a farm. There she died December 13, 1892. Mrs. McLaughlin is the oldest in a family of eight children, the others being as follows: Samuel J., born April 8, 1850, married Ida Patmore and lives west of Mt. Vernon; Martha Jane, born June 11, 1851, died in childhood; Eliza J., born December 5, 1852, is the wife of Emanuel Welty, of Winteset, Iowa; William Henry, born June 4, 1854, married Cynthia Hill and resides in Raven, Arkansas; John E., born February 24, 1857, married Hattie Russell and makes his home north of Mt. Vernon; Lemuel J., born May 26, 1858, is represented on another page of this volume; and Milton B., born February 8, 1860, married Emma Maybower and lives in Mt. Vernon. Source: The Biographical Record of Linn County Iowa, Illustrated, Chicago: The S. J. Clarke Publishing Company, 1901, pages 217-218. The name of John G. McLeod is remembered by the early settlers, as one of our most prominent men, and a very useful citizen. His claim included the big spring which has always borne his name, and which is located two and a half miles north of this city. It is one of the finest springs I have ever seen, and I am not aware of anything in Iowa that surpasses or even equals it, in the amount and clearness of the waters it discharges. There may be others just as fine, but although I have traveled over the state quite extensively, I have not yet seen them. The water power of one of the first saw-mills in this county was furnished by that spring. I am not sure but that this mill was the first in the county. Certain it is that no one antedated it very many months. To Mr. McLeod belongs the honor of erecting that mill. It was an event of the greatest importance to the pioneers of this section of the country. Few can understand at this distance of time the absorbing interest with which the people watched the progress of this new enterprise. It was in 1841, two years after our arrival, that this mill was built. I remember well when Mr. McLeod came to invite our family to the raising. After extending the invitation to father and the older boys, he turned to mother and said: “You must come, too, and bring all your dishes with you.” The thought never seemed to enter his mind to ask if it would be convenient for her to go; but he used the imperative mood with an emphasis that seemed to admit of no excuse or failure. Of course, mother was only too happy to go with her dishes and cooking utensils, together with what provisions she could supply, and do all she could towards providing a good dinner for the busy workmen who were assisting in this new and welcome enterprise. She had a hearty laugh, however, afterwards over the earnest and summary way in which Mr. McLeod commanded her presence on that important occasion. Sometime after the saw-mill had been put in operation, Mr. McLeod decided to put in a small run of stone, which he did. The stones were only eighteen or twenty inches in diameter perhaps, but they served a very good purpose for “cracking corn” as they called it. This mill afforded us our first corn meal manufactured in this region, and it was a matter of no small interest to the surrounding inhabitants, when it was set in operation. The meal was probably not of the finest grade, but it was fresh and sweet, and the people were too glad to get it to be critical in regard to its coarseness. A few years later, Mr. McLeod erected a larger and better mill that was capable of manufacturing both meal and flour of very good grades. This mill did a very large business and proved a great blessing to the people all through this region, and for many miles around. This property in after years passed into the hands of Mr. N. B. Brown, who converted it into a distillery, to afford drink to those who were not satisfied with the cool, limpid waters of the spring. A few years later this famous mill afforded food for the flames, and so passing out of existence, many more hearts rejoiced than when it was first erected. Mr. McLeod in after years moved into the northern part of the state, where he continued in the milling business up to the time of his death, which occurred many years ago. Source: Carroll, George R., Pioneer Life In and Around Cedar Rapids, Iowa From 1839 to 1849. Cedar Rapids, Times Printing and Binding House. 1895. Pages 138-140. Whatever else may be said of the legal fraternity, it cannot be denied that members of the bar have more important actors in public affairs than any other class of American people. This is but the natural result of causes which are manifest and require no explanation. The ability and training which qualify one to practice law also qualify him in many respects for duties which lie outside the strict path of his profession and which touch the general interests of society. The subject of this record is a man who has brought his keen discrimination and thorough wisdom to bear not alone on professional paths but also for the benefit of the community in which he resides. He is now attorney for the northern district of Iowa, and makes his home in Cedar rapids. A native of Ohio, Mr. McMillan was born in Wayne county, May 29, 1854, and is a son of P. R. and Elizabeth (Cully) McMillan, the former a native of New York state, the latter of Wayne county, Ohio. His paternal great grandfather came to this country from Scotland in the latter part of the eighteenth century and settled in Washington county. New York, where the father of our subject was born. He was only six years old, however, when he removed with his parents to Seneca county, Ohio, and there in the midst of the forest he grew to manhood with little opportunity to attend school. He took an academic course after reaching his majority, and by thoroughly applying himself to his studies at home he succeeded in acquiring a splendid education, becoming a fine Latin, Greek and German scholar, and mastering all the branches of higher mathematics. 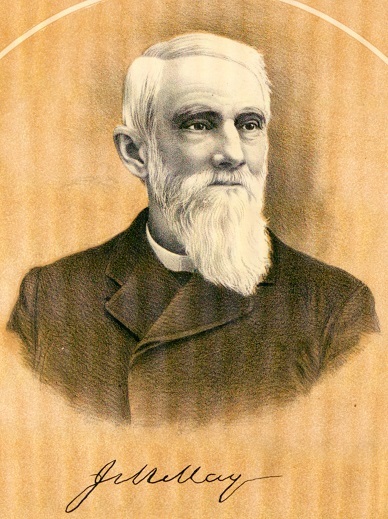 While a resident of Wayne county, Ohio, he taught school, and in 1846 he came to Iowa as the first principal of Washington Academy under Dr. George Vincent, the founder of that school and a very noted divine of the Presbyterian church. After teaching there for some years Mr. McMillan returned to Wayne county, Ohio, where he was married and engaged in farming four years. At the end of that time he again went to Washington county, Iowa, where he was engaged in mercantile business at Crawfordsville with two brothers four years, and then removed to a farm near Washington, the county seat, and turned his attention to agricultural pursuits. Throughout the remainder of his life he engaged in farming and raising fine stock. He died March 19, 1882, and his widow now resides with a daughter in Aberdeen, South Dakota. They were the parents of three children, namely: Alice is the wife of T. C. Rogers, who for some years has been engaged in the grain and milling business in Beloit, Kansas, and has served in the legislature of that state. Horace G., of this review, is the next in order of birth. Frances is the wife of A. W. Glenn, of Aberdeen, South Dakota, who is a conductor on the Chicago & Milwaukee Railroad between Aberdeen and Sioux City, and although he has been with that company for twenty-seven years has never been laid off a day. He has farming interests in South Dakota. Horace G. McMillan received his primary education in the district schools, and later attended the Grandview Academy in Louisa county, Iowa, two terms, and the Washington Academy about one year. He was then engaged in raising fine stock as a partner of his father, handling horses, cattle, sheep and hogs of a high grade, and he continued in this business for five years after reaching his majority. In the meantime he commenced the study of law, and later entered the office of J. F. McJunkin, then attorney-general of Iowa, with whom he remained for a year, walking from the farm to the city each morning and returning home at night. After two years and a half devoted to study he was admitted to the bar in 1880, and was engaged in practice in Washington, Iowa, about two years. He then removed to Rock Rapids, Lyon county, where he successfully followed his chosen profession until coming to Cedar Rapids in July, 1898, having been appointed district attorney in February of that year. During the first seven years spent at Rock Rapids, Mr. McMillan was in partnership with A. Van Wagenen, under the firm name of Van Wagenen & McMillan, at the end of which time his partner was appointed district judge by Governor Boies. Our subject then became connected with Mr. Van Wagenen's brother, who had studied with the firm, and this partnership lasted a year and a half. Mr. McMillan was then alone for two years, and at the end of that time formed a partnership with J. W. Dunlap under the firm style of McMillan & Dunlap, which connection was continued until our subject's removal to Cedar Rapids. In the spring of 1898, in partnership with Cyrenus Cole, he bought out the Republican Printing Company, of which he is now president and business manager. He is also still interested in farming and stock raising. He first purchased a small farm in Lyon county, which he stocked, but has since bought a large place, consisting of seven hundred acres, known as the Lakewood Stock Farm, to which he gives his personal supervision. Here he raises thorough-bred stock, his specialty being Percheron horses, Jersey cattle, of which he has one of the finest herds in the west, and he holds annual sales, disposing of his surplus stock. Besides this valuable place, which is one of the finest stock farms in the state, he now owns over five thousand acres of highly cultivated land, which he has purchased from time to time. Since 1895, he has been largely interested in raising both imported and home-bred registered Percheron horses, having now one hundred head, and in the future he proposes to make this his principal farm business. On the 28th of August, 1877, Mr. McMillan was united in marriage with Miss Alice Van Doren, a native of Washington county, Iowa, and the third in order of birth in a family of five children. Her father, W. A. Van Doren, was for many years a prominent attorney and real-estate dealer of Washington, Iowa, and was one of the early settlers and pioneer lawyers of that section of the state. Unto Mr. and Mrs. McMillan were born six children, namely: Glenn V.; Viva; Stella, who died in infancy; Florence; James B.; and Horace G., Jr., all at home. 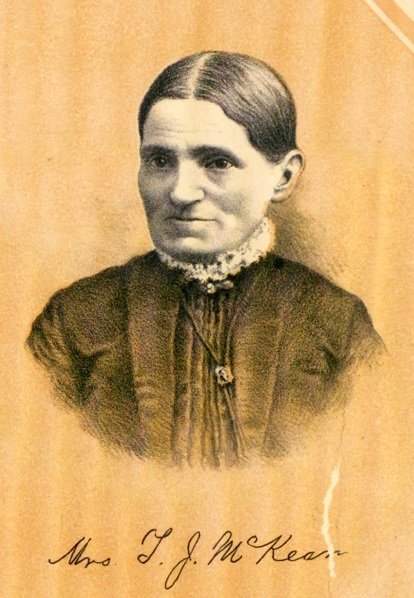 The wife and mother is a member of the Presbyterian church; has always taken a deep interest in educational affairs; and was largely instrumental in founding the public library at Rock Rapids. Before entering upon the duties of his present office Mr. McMillan had probably the largest private practice of any lawyer in this section of the state, and was retained as counsel either on one side or the other of all the important cases that came up. He has had large experience in trying personal injury cases, both for and against railroad companies, and obtained one of the largest verdicts probably ever secured in this state. He was prominently connected with the bond litigation of Lyon county, when the county had been fraudulently bonded for one hundred and seventy thousand dollars, and various school districts had been bonded for from twenty to two hundred and fifty thousand dollars. Mr. McMillan tried these cases in both the state and United State courts and the supreme court at Washington, D.C., decided in his favor. As a jury advocate he is very successful, and to-day ranks among the foremost attorneys of Iowa. Prominence at the bar comes through merit alone, and the high position which he has attained attests his superiority. Since reaching manhood Mr. McMillan has taken an active and prominent part in political affairs; was three times elected a member of the Republican state central committee from the eleventh congressional district; and three times elected chairman of the same. He was alternate delegate at large to the national convention in 1896, and had charge of the campaign when Francis M. Drake was elected governor by an almost unprecedented majority. He also had charge of the McKinley and Hobart campaign in Iowa, which he conducted in such a manner as to win the praise of the Republicans and gold Democrats alike, and he managed the campaign when Leslie M. Shaw run for governor. As a campaign leader Mr. McMillan has tenacity of purpose, persistence of effort and a wise spirit of conciliation, and under him the party has developed no factions nor has it wavered. The first office he was called upon to fill was that of assessor of his township, which he held when a young man. He served two terms as city attorney of Rock Rapids; three terms as county attorney of Lyon county; and ten years as a member of the board of insane commissioners of that county. As a citizen he ever stands ready to discharge any duty devolving upon him; his public service has been most commendable; and he stands deservedly high in professional, political and social circles. Fraternally he is a member of the Knights of Pythias and the Modern Woodmen of America. Source: The Biographical Record of Linn County Iowa, Illustrated, Chicago: The S. J. Clarke Publishing Company, 1901, pages 30-33. Frank P. McNamara, a well known farmer and prominent citizen of Buffalo township, has spent his entire life in Linn county, his birth occurring here on the 18th of February, 1866. His parents, John and Ann (Slattery) McNamara, were natives of Ireland and on their emigration to America in 1849, located in Buffalo, New York, where they spent two years. At the end of that time, however, they came to Iowa and for five years made their home in Jones county. The father then purchased forty acres of land in Buffalo township, Linn county, whereon the family took up their abode. As an agriculturist he steadily prospered and bought more land from time to time as his financial resources increased until he had accumulated five hundred acres in this county, one hundred acres in Jones county, and six hundred and forty acres in South Dakota. His Linn county property he placed under a high state of cultivation and improved by the erection of good, substantial buildings. He continued the operation of his farm for many years but finally deeded eighty acres to each of his children as they became of age. After a useful and well spent life he passed away May 10, 1900, and his wife, who had been a faithful helpmate to him throughout her, life, died February 25, 1903. They were communicants of the Catholic church and were laid to rest in Castle Grove Catholic cemetery. Frank P. McNamara was feared in much the usual manner of farm lads, acquiring his literary education in the schools near his boyhood home. He was twenty-five years of age when he left the parental roof and settled on the eighty acres of land given to him by his father and to its improvement and cultivation he has since devoted his energies. He has extended the boundaries of his farm from time to time, however, and now has two hundred and forty acres of very valuable and productive land which has been improved by himself and is now one of the best farms of the county. He has always devoted considerable attention to the raising of fine stock but has never made a specialty of any particular breed except the Hereford cattle. Mr. McNamara was married January 24, 1894, to Miss Katy Drummy who, like her husband, acquired a good common school education in her youth, Her parents are W. F. and Lizzie (Kehoe) Drummy, the former a native of New York and the latter of Delaware county, Iowa. 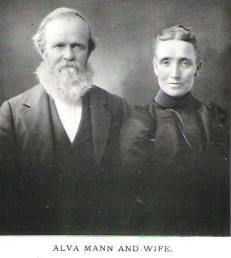 They were married on the 25th of October, 1875, and located upon a farm in Delaware county. Both are still living. Eleven of the fifteen children born to them also survive. To Mr, and Mrs. McNamara have been born ten children, as follows: Francis P., who was born October 26, 1894, and died August 2, 1896; Thomas E., born February 26, 1896; John W., born August 8, 1897; Elizabeth B., born December 21, 1898; William Joseph, born July 4, 1900; Emlin A,, born May 16, 1902; Bernard A., born May 15, 1903; Anna M., born May 30, 1905; Frances D., born June 4, 1907; Bernice M,, born June 30, 1909, The parents are faithful members of the Catholic church and in his political views Mr. McNamara is liberal, supporting the men and measures he believes best calculated to promote the public welfare. He is a progressive and public spirited citizen and gives his earnest support to those measures which he believes will advance the general welfare of the community in which he resides. DUNCAN McTAVISH, M. D., is a recent and valued addition to the medical fraternity of Linn County, and is located in Central City. He is a native of Canada, born in Halton County, Jan. 17, 1840. His father, Dugald McTavish, was born in Argylshire, Scotland, and grew to manhood in Glasgow, where he graduated at the University. He was a mechanical engineer, and emigrated to America about 1829, following his profession for several years afterward, and in the meantime purchased land in Halton County, and while working at his profession, employed laborers to clear the land, upon which lie subsequently settled, and remained engaged in agricultural pursuits the remainder of his life. He died there in 1882. The maiden name of his wife was Catherine Buchanan, also a native of Argylshire, and of their union there were born six children. The wife and mother survived her husband two years, and departed this life in 1884. The subject of our sketch is the eldest child of his parents. He obtained a good education by attending the public schools, and pursued the study of English classics and mathematics until the age of nineteen years, when he commenced teaching. In the meantime he took up the study of medicine, and by his duties as a teacher earned sufficient money to pay his way through college. In 1863 he pursued his studies and afterward attended medical lectures at Philadelphia, graduating from Pennsylvania Eclectic College. About eighteen months later he abandoned the Eclectic and attached himself to the Regular School of Medicine, to which he has since adhered. After receiving his diploma, Dr. McTavish recommenced his labors of teacher, at which he continued at Guelph, Canada, being employed as classical and mathematical teacher in the High School there. At the termination of this engagement he commenced the practice of medicine at Waldemar, Canada. He was not satisfied with his situation and prospects, however, and resolved to seek a home beyond the Mississippi. Accordingly, in 1872, he crossed the Father of Waters and came into Iowa, and located at Colo, Story County, opening an office, and began practicing his profession there. Four years later he opened a drugstore in connection with his practice, and was very successful up to July 4, 1879, when he met with a disaster, his drug-store being destroyed by fire. By this calamity he also lost a large stock of goods and a valuable library. He then removed from Colo and located in Wright County. This locality, however, proved unfavorable to his health. He was attacked with pernicious malaria, and obliged to abandon his practice for the time. In the winter of 1883-84 Dr. McTavish went to DesMoines, Iowa, and attended a course of medical lectures in the College of Physicians and Surgeons. He pursued his studies through the following summer, and the next winter took another course at this college, from which he received his diploma in the spring of 1885. He then again opened an office in Eagle Grove in Wright County, but in October he was again attacked with pernicious malaria, and was forced to seek another location. He then came to Linn County and stopped in Paris until February, 1886, and thence came to Central City, where he is building up a good practice. In September, 1866, the marriage of Dr. McTavish and Miss Elizabeth Beattie took place. Mrs. McTavish was a native of Ireland, and of Scottish ancestry. Of this union four children were born, only two of whom are living – William and Cassie. The second child, Effie, died in infancy, and the fourth child, Dugald, at the age of two years. Mrs. McTavish died Oct, 21, 1886. Dr. McTavish is a member of the Northwestern District Medical Association and the Iowa Union Medical Society. He is also a member of Bower Lodge, Eagle Grove, A. F. & A. M. He is highly esteemed for his genial and affable disposition, and a popular member of his profession in this vicinity. The prospect is that he will very soon become a leader in his profession, in this city. He is well read, and takes a worthy pride in striving to become a master of the art by which disease is made to yield to the ingenuity and the intelligence of man. The portraits of Dr. McTavish and wife, which are shown on another page of this ALBUM, will be welcomed by a large number of friends. The subject of this sketch is well known throughout the state as one of the largest and most successful breeders of fine hogs in Iowa. He makes his home on section 9, Jackson township, Linn county, where he owns a valuable and well-improved farm of two hundred acres, known as the Chapel Hill Farm, and although he is engaged in general farming, he gives the greater part of his time to his stock raising interests. Mr. McTavish was born in New London, Canada, September 21, 1867, a son of Dr. Duncan and Elizabeth (Beatty) McTavish, who were natives of Canada, of Scotch descent. The father was reared near Acton, Ontario, and after acquiring a good common-school education, supplemented by a course in the University of Toronto, took up the study of medicine. Going east, he attended a medical college in Philadelphia, Pennsylvania, where he was graduated. He then returned to Acton, Canada, where he followed his chosen profession for several years, and later was engaged in practice at New London until 1865, when he removed to Kankakee, Illinois, but remained there only a short time. We next find him a resident of Colo, Story county, Iowa, where he engaged in practice for several years. He subsequently spent a short time in Eagle Grove and on the Wapsie, at Paris and Central City, Linn county, where he continued in active practice up to the time of his death, which occurred June 5, 1889. While at Eagle Grove, owing to failing health, which made it impossible for him to practice, he improved his time by attending a course of lectures at the College of Physicians and Surgeons of Des Moines, Iowa, from which institution he was graduated. The mother of our subject also died in Central City, October 24, 1886. They were the parents of four children: William D., of this review; Effie, who died young; Cassie, a resident of Central City; and Dugald, who died in infancy. The boyhood and youth of William D. McTavish were mainly passed in this state, and he attended the high school at Nevada, Story county. In early life he learned the printer's trade at Sheldahl, Iowa, and later was employed as train master's clerk in the office of the Chicago & Northwestern Railroad Company at Eagle Grove, Iowa. Succeeding this he entered Coe College at Cedar Rapids, where he was pursuing his studies when his father died. Being thrown upon his own resources, he worked for a time as a farm hand in this county. Being industrious and economical, he had, when in the employ of the railroad company, saved a small sum of money, which, in addition to an amount inherited from his father, enabled him to purchase a small farm near Waubeek, where he lived for a short time, and then bought eighty acres of his present farm on section 9, Jackson township. To this has been added by purchase and inheritance one hundred and twenty acres until he now has a valuable tract of two hundred acres, as previously stated, and also owns some timber land elsewhere in the same township. During his entire business career Mr. McTavish has made stock raising his principal occupation, being a breeder of Red Polled cattle and Berkshire swine. He won more prizes in 1900 at the Iowa State Fair than any other breeder of Berkshire swine in the state. At the great International Stock Show at Chicago in December of the same year, the boar winning first prize in his class and also the sow winning first in the class for sows and championship over all ages were the "get" of one of Mr. McTavish's brood sows, thus placing his herd as one of the best breeding herds in America. He is a member of both the American Berkshire Association and the Red Polled Cattle Club of America. Mr. McTavish was married in 1891 to Miss Mary Henderson, of Jackson township, who was born January 12, 1876, a daughter of P. G. and Arabella (Mills) Henderson, whose sketch appears elsewhere in this work. Three children bless this union, namely: Hugh, Ruby and Harold G. Mr. McTavish and his wife are both members of the Jackson Congregational church, which is located on his farm, and he also belongs to the Masonic Lodge of Coggon, and Coggon Camp, No. 4591, M. W. A. He take[s] a deep and commendable interest in public affairs. Source: The Biographical Record of Linn County Iowa, Illustrated, Chicago: The S. J. Clarke Publishing Company, 1901, pp. 934-935. Transcribed by Cheryl Siebrass, September, 2015. JOHN MENTZER, deceased. The honored name of the subject of this history will be remembered long after those who were personally acquainted with him have passed away. He was one of the early residents of the State of Iowa, a man of great energy and force of character, and left his decided impress upon the community in which he lived and upon all with whom he came in contact. He was a native of Franklin County, Pa., born March 9, 1809. His death occurred at his home in Marion, Nov. 3, 1882, after a long season of great suffering, his death being caused by cancer. John Mentzer was the son of Samuel and Eva (Hinkel) Mentzer, also natives of Pennsylvania. Their ancestors were natives of Germany, who emigrated to America in colonial days. Our subject served a regular apprenticeship as a mason, becoming thoroughly familiar with the business in all its branches, and attained to the position of a master workman, contractor and builder. He helped to build the college at Fannettsburg, Pa.; contracted for and assisted in the building of the college at Mercersburg, Pa., and was the superintendent of many other public and private buildings then in course of erection in his native State. In early life he exhibited that system and thoroughness in all his undertakings which characterized him until the close of his business career. The marriage of John Mentzer and Miss Nancy Foreman took place in Franklin County, Pa., Aug. 22, 1833. She was the daughter of Frederick and Sarah (Burger) Foreman, and was born near Mt. Hope, Franklin County, July 12, 1814. Nine children were the result of this union, seven sons and two daughters, all of whom are living except two sons. The record is as follows: George A. was born March 15, 1835, and died April 6 of the same year; Thomas J., born May 8, 1836, was married, and is now engaged in the grocery business at Shenandoah, Page Co., Iowa; Frederick, born June 21. 1839, only lived a few hours; Sarah, born Aug. 18, 1840, is the wife of Peter C. Garrett, of the firm of Mentzer & Garrett, furniture dealers at Marion (see sketches); Patrick Henry, born Sept. 3, 1843, is married, and engaged in the grocery business at Shenandoah, Iowa, with his brothers; Benjamin F., born Aug. 1, 1847, married Miss Carrie Daniels, and is engaged in the grocery and furniture business at Marion; John, born Feb. 10, 1851, married Miss Emma Myers and is in business with his brothers at Shenandoah; Charles C, born Sept. 9, 1854, married Miss Alice Walser, and resides at Marion; he is also interested in the canning business at Shenandoah; Mary C. born Sept. 10, 1858, is the wife of G. W. Gunnison, of Sidney, Fremont Co., Iowa. The two last named were born in Marion, and the others in Franklin County, Pa.
Mr. Mentzer emigrated with his family from Pennsylvania to Marion, Iowa, in 1854, arriving here on the 6th of April. He at once engaged in the prosecution of his former business, which he had carried on extensively for many years. His skill as a workman, his thoroughness and his superior taste as an architect, soon came to he recognized, and he was employed to superintend the erection of many of the principal business blocks and finest residences of Marion. Among these are the Park Place Hotel, Marion High School, Methodist Episcopal Church, the old stone mills, since burned, the fine residences of D. T. McAfee, Joseph Mentzer, the late Col. Srnythe, and Thomas S. Ovington. Mr. Mentzer was well educated, and prior to coming to Iowa had been employed several terms as a teacher in the schools of his native county. He was well informed on general subjects, fond of argument, and was a keen debater. He was well versed in sacred history, had been reared in the Lutheran denomination, and was more than a match for the average minister in the discussion of Biblical topics. In the matter of education he was largely self-taught, for his duties as an apprenticed mason involved hard labor, leaving him fatigued when night came, yet at night he devoted hours to his studies when his fellow-workmen were sleeping. He applied himself with the same indomitable zeal to everything he undertook. In his vocation he was a master workman, rapid and perfect in execution. He possessed an energy and force of character that eminently fitted him for a leader. Often in the large number of men in the employ of Mr. Mentzer there would be drones; with such he had no patience, and they were either forced to do their duty or were weeded out. His success as a builder was the result of a thorough knowledge of his business, combined with an untiring industry and a conscientious determination to do honest work. John Mentzer was the father of a large family and always provided liberally for them. He was stern and exacting in family discipline, believing such a course necessary for the welfare of his children, but nevertheless, he was kind, and took great pride in his family. He was quick tempered and a man of strong passions, but no one could truthfully charge him with being unjust or unmanly. His integrity was beyond question, and his wind was as good as his bond. Politically he was an uncompromising Democrat, and always advocated with zeal the principles and policy of that party. Mrs. Nancy Mentzer still survives, and is residing at Marion. This aged and revered lady has been a devoted wife and mother; no labor was too great, no self-sacrifice regretted, in the interest of those she loved. She was always patient, industrious and zealous in the discharge of her home duties. She reared a large family successfully, giving them by example, as well as precept, lessons in truth, honesty, frugality and industry, and has been rewarded by living to see them become worthy and respected members of society. It is a satisfaction to behold lives like these rounded up ripe in years, and fruitful in good deeds. Verily, they have not lived in vain. The portraits of Mr. Mentzer and wife, which are presented on another page of this work, will be highly appreciated. Marshall F. Meredith, a well known and successful farmer and stock-raiser of Buffalo township, is the owner of a valuable tract of land comprising two hundred and eight and two-thirds acres. His birth occurred in Indiana in 1852, his parents being Daniel and Sarah (Ball) Meredith, who were likewise natives of the Hoosier state. There the father spent his entire life, passing away in 1881. The mother came to Linn county, Iowa, in 1892 and made her home with our subject until called to her final rest on the 9th of May, 1909, her remains being interred in the Boulder cemetery in Buffalo township: She was a devoted amid consistent member of the United Brethren church. Her children were ten in number, namely: Elizabeth A.; Mary J., who is deceased; Priscilla K.; Marshall F., of this review; William B.; John D., who has likewise passed away; Henry N.; Sarah E.; Miranda, deceased; and Frances. considerable attention to the feeding of stock, handling both cattle and hogs. He derives a gratifying annual income from both his farming and stock-raising interests and has long been numbered among the substantial and representative citizens of the community. On the 22d of February, 1873, Mr. Meredith was united in marriage to Miss Lucinda M. Grayson, a daughter of Wren and Lucinda (Williamson) Grayson, who spent their entire lives in Indiana. They were both faithful members of the Methodist Episcopal church. Unto them were born thirteen children, as follows: Nancy and Byrel P., both of whom are deceased; John T.; Hiram T.; Catherine A.; Rebecca J., who is likewise deceased; William H.; Samuel B.; Eliza E.; Mary E.; Mrs. Meredith; Anna D.; and one who died in infancy. Mr. and Mrs. Meredith became the parents of three children, namely: Eva Viola, who was born July 7, 1875, and died on the 15th of August, 1881; Daniel W., who is married and lives on a portion of the homestead farm; and Raymond G., at home. In his political views Mr. Meredith is a republican, believing firmly in the principles of that party. He served as township trustee for four terms and for several terms has acted as justice of the peace, his fair and impartial decisions winning him ‘‘golden opinions from all sorts of people.” His religious faith is indicated by his membership in the Methodist Episcopal church. He is always the same honorable and upright gentleman in whatever relation of life he is found and his salient characteristics are such as have gained him the respect, confidence and good will of all with whom he has come in contact. Source: History of Linn County Iowa, From Its Earliest Settlement to the Present Time, Vol. II, Chicago, The Pioneer Publishing Company, 1911, p. 12-13. Prominent among the business men of Cedar Rapids is numbered John Perley Messer, who has been engaged in real estate and loan business for some years, with offices located at present in the Granby block. Mr. Messer was born at Bow Center, in the town of Bow, New Hampshire, on the 9th of December, 1843, and is the second son of Silas and Nancy (Hadley) Messer, who are also natives of the old Granite state. His father was a farmer in early life, and later was a railroad man, but is now living retired in St. Paul, Minnesota. The mother died in that city in 1894, and was buried in Oak Hill cemetery, Cedar Rapids. John P. Messer was reared on the home farm, and received his education in the public schools. At the age of sixteen he left the farm and went to work as a locomotive fireman on the Concord Railroad. At eighteen he was promoted to the position of locomotive engineer, and at that time was the youngest man who had ever been entrusted with an engine on that road. He continued in that employment until 1862, when he resigned to enter the service of his country as assistant engineer in the navy, and was ordered to the United States steam frigate Colorado, on which he served for nearly three years. He participated in both bombardments and in the capture of Fort Fisher. At the first battle Mr. Messer had charge of the fire department (a department of sixteen men to extinguish fires), and at the second battle he served under B. F. Garvin, chief engineer and Lieutenant George Dewey, executive officer as one of Commodore Henry K. Thatcher’s staff officers. In these engagements the Colorado suffered severely and was ordered to the New York navy yards for repairs. Mr. Messer was then transferred to the U. S. S. Trefoil. He was on that vessel when she “accidentally” collided with and sunk the Confederate privateer Florida. Also at the capture of Spanish Fort and Fort Blakely in Mobile bay, and continued to serve on her until the close of the war, when he resigned and received an honorable discharge from the United States navy. At Bow, New Hampshire, September 1, 1866, Mr. Messer married Miss Carrie E. Evans, who was also a native of that state and a daughter of Stephen W. and Emma (Veazy) Evans. Shortly after their marriage Mr. and Mrs. Messer removed to the then new state of Minnesota, the journey occupying a full week and requiring twelve changes of cars and boats. They are the parents of three children, namely: Walter S., who died April 5, 1881, at the age of eleven years; Emma Evans, now Mrs. James W. Clark; and Florence V., who is at home. They also have one grandchild, Charles A. Clark, Jr.
On his removal to Minnesota Mr. Messer at once entered the employ of the Minnesota Valley Railroad as a locomotive engineer. He was with that road about two years and ran the first freight and passenger trains into the towns of St. Peter and Mancato, Minnesota. From that state he came to Cedar Rapids in 1869, and has made his home here ever since. He was the first regular engineer and master mechanic at Cedar Rapids in the service of the Burlington, Cedar Rapids & Minnesota (now Northern) Railroad, and he remained with that road for about ten years as engineer, master mechanic and passenger conductor. As engineer he was in charge of the first regular trains into each of the towns along the line from Cedar Rapids to Rockford, Iowa, as the road was completed to those points. 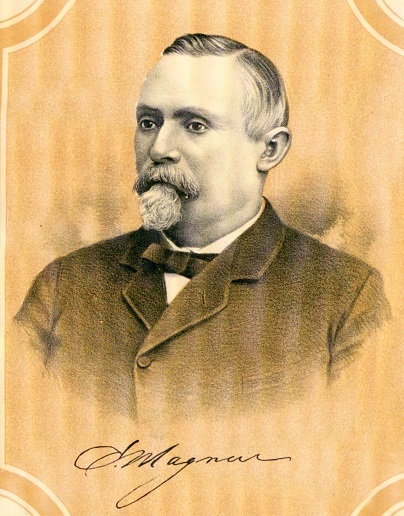 Mr. Messer resigned his position with the Burlington, Cedar Rapids & Northern Railroad in 1879 to take the superintendency of the Memphis, Kansas & Colorado Railroad, then in course of construction and built some twenty miles of this road besides opening about forty-five miles from Parsons to Messer. This road was an enterprise of the late Judge Green and the late C. S. Bennett, both of Cedar Rapids, and was sold by them to the Kansas City, Fort Scott & Gulf Railroad, at which time Mr. Messer resigned. As superintendent of the old City Street Railway Company, of Cedar Rapids, he built the largest part of their road, building the first line across the river. After about twenty years in the railway service, Mr. Messer entered the real-estate business in Cedar Rapids in 1881, and is still actively engaged therein. He has met with well-deserved success in this business, as he had formerly done in the railroad business, and has acquired a comfortable competence. In his political affiliations Mr. Messer is a Republican, but has never sought office. As a public-spirited citizen, however, he takes an active interest in public affairs and gives his support to all enterprises which he believes calculated to advance the social, moral or material welfare of Cedar Rapids. Source: The Biographical Record of Linn County Iowa, Illustrated, Chicago: The S. J. Clarke Publishing Company, 1901, pages 102-6. The agricultural interests of Franklin township are well represented by this gentleman, who was born in Linn township, this county, on the 31st of December, 1860. The Milholin family originated in Ireland, but many bearing the name now live in Scotland and America. James Milholin, our subject’s father, was born on the Emerald Isle, but when a boy went to Scotland, and in 1853 came to the United States. After spending two years in Pennsylvania, he removed to Iowa, and was married in Marion, to Miss Elizabeth McLaughlin, a native of Glasgow, Scotland, who came to the new world in 1856, and located in Marion, Iowa. After living in that place for a time, they removed to a farm in Linn Grove, Linn township, and later spent two years on the farm of Colonel Robert Smyth in Franklin township. Their next home was on the Robert Rose farm, where they continued to reside until their deaths. The mother departed this life February 15, 1878, and the father died February 2, 1897, the remains of both being interred in the Mt. Vernon cemetery. Unto them were born five children, as follows: Isabella Agnes is now the wife of Andrew Dill and lives south of Cedar Rapids; John C. is a railroad conductor and makes his home in Livingston, Montana; J. W., our subject, is next in order of birth; Thomas H. lives on a farm adjoining our subject in Franklin township; and Robert A. resides with his brother Thomas H.
The district schools of Franklin township afforded our subject his educational advantages, and on leaving school at the age of nineteen years he gave his entire time to the work of the home farm, continuing to manage the place for one year after his marriage. The following year he operated rented land, though in 1887 he had purchased fifty-five acres of land. In 1898, he bought the James Bryney farm of one hundred and five and one-half acres on section 18, Franklin township, and in the operation of this place he has since met with marked success. Like most of the farmers of this region he devotes considerable attention to the raising of stock. He is progressive in his methods and his success in life has been worthily achieved, it being due entirely to his own well-directed and energetic efforts. Politically he is identified with the Republican party, and socially is connected with the Camp of Modern Woodmen, No. 216, at Mt. Vernon. On the 19th of October, 1892, at Mt. Vernon, was celebrated the marriage of Mr. Milholin and Miss Elsie Adella Bair, who was born at Elvira, Clinton county, Iowa, February 14, 1870, and is a daughter of Joseph Bair, whose sketch appears on another page of this volume. Four children bless this union, their names and dates of birth being as follows: Harry B., October 14, 1894; J. Clifford, May 10, 1896; Florence E., July 3, 1898; and Glen Leroy, March 10, 1900, died April 1, 1901. Florence was born the day Cervera’s fleet was captured by the Americans during the Spanish-American war. Source: The Biographical Record of Linn County Iowa, Illustrated, Chicago: The S. J. Clarke Publishing Company, 1901, pages 209-210. This gentleman dates his residence in Linn county from January, 1853, and as a progressive agriculturist he was prominently identified with the growth and development of the county for over a quarter of a century, but he has now laid aside all business cares, and is living retired in Cedar Point. A native of New York, he was born near Syracuse, September 8, 1821. His father, William Miller, was born and reared in England, and when a young man - came to the United States. He was married in New York to Miss Loraine Fountaine, who was born in that state of French and German parentage, and there they continued to make their home throughout life. Milo Miller remained a resident of the Empire State until nineteen years of age, and then went to Warren county, Pennsylvania, where he worked in the lumber camps for about six years. The following year was spent near Milan, Ohio, and at the end of that time he removed to McHenry county, Illinois, where he rented land and engaged in farming for a time. He next made his home near Valparaiso, Indian, for about five years, and from there removed to Jackson county, Iowa, here he bought a farm of two hundred acres, of which sixty acres had been placed under the plow. After residing there for two years he sold that place and came to Linn county, in 1853, purchasing a partially improved farm of two hundred and twenty acres in Grant township. He planted the first crop raised upon that place, and to the cultivation and improvement of that farm he continued to devote his time and energies until his removal to Center Point in 1876. He added to his property and erected thereon good and substantial buildings. For some time after locating in Center point he was engaged in the real estate business and has handled considerable property. He has made several farms by buying raw land which he has broke and improved by the erection of a good set of farm buildings, and he has also improved considerable village property, which he either sells or rents. He is still the owner of about a dozen residences in Center Point and two business blocks, besides five farms aggregating six hundred acres of valuable land. He has been a man of industrious habits, progressive and enterprising, and to his excellent business and executive ability he owes his success in life, for he started out in the world for himself empty-handed. Mr. Miller has been twice married. In 1843, in Pennsylvania, he wedded Miss Patience Meeker, who died in Indiana. By that union he had two children, of whom one died in infancy. The other, Elmira married George Fee, of this county, and died in 1899. Mr. Miller was again married in Indiana, in 1848, his second union being with Miss Cyuthia Sprague, who was born in Allen county, Ohio, and removed to Porter county, Indiana, with her father, Solomon Sprague, locating near Valparaiso. Unto them were born four children, namely: Delia, now the wife of Theodore Lampman, a farmer in Linn county, Iowa; Samuel, a resident of Center Point; Paulina, wife of Edward Sarchet, also a farmer of this county; and Anna, wife of Oliver Hines of Center Point. Mr. Miller takes no active part in politics or has never cared for office. During his long residence in this county, covering almost half of a century, he has materially aided in the growth and building of his town and county, and has become widely and favorably known as an upright, reliable business man of strict integrity and sterling worth. Source: The Biographical Record of Linn County Iowa, Illustrated, Chicago: The S. J. Clarke Publishing Company, 1901, pages 364-5. "As a citizen he was, from the first active in all things that make for a city. He was public spirited and energetic to a degree attained by few men. He was an alderman for many years, and in this capacity did a great deal to shape legislation. He was a born leader. If there was an enterprise on foot, Mr. Mills was either for or against it with all his might. He had the courage, the strong intelligence, the rare, subtle magnetism, which, as public men are analyzed, compose the requisites of the real genius of leadership. As a lawyer he attained a very high rank. He was a worker a master of the art of accumulation of testimony - a tactician, skillful in cross-examination, a perfect judge of men, and therefore, one who selected a jury with method and keen analysis of those who presented themselves for acceptance. Many of our foremost business men relied upon him absolutely, and to them the loss will be as a personal bereavement. As a friend, perhaps the word loyal is the best and most expressive adjective descriptive of this phase of his character. It is the fortune of strong characters like Mason P. Mills to be strong in friendship and intense in resentment, to have friends bound to them with hooks of steel, and at the same time have those who swear, Hamilcar-like, to love them not at all. And now, what of him? * * * It does not seem possible that a soul of a man like Mason P. Mills - the force that was in that brain can have gone out forever. Meeting by the side of his grave this great question which is the dark cloud on the horizon of all of us, we are glad to know that he here found reason for hope." The father of the deceased died when he was a mere boy and the other, within a few years, married P. T. Crowell, of Springfield, Massachusetts, a trusted employee of the United States armory at that city. The mother, whose maiden name was Elizabeth Strong, was a lineal descendant of the Grant family of East Windsor. The early education of Mr. Mills was acquired in the common schools. He was a student in the Upper Iowa University at the breaking out of the war, and at the first call for troops went to Washington and enlisted in a squadron of cavalry known as McClellan's Dragoons. This was George B. McClellan's bodyguard. He served in that capacity under the commanders of the Army of the Potomac until the winter of 1863-4, when the squadron of cavalry was ordered to Chicago and made a part of the Twelfth Illinois Cavalry. There he was made sergeant of the regiment, and afterward promoted to regimental quartermaster and first lieutenant by Governor Yates. He served gallantly at Yorktown, Antietam, Fredericksburg, Chancellorsville, Gettysburg, and in the seven days' fight before Richmond, as well as in the smaller affairs in which the Army of the Potomac was engaged up to the year of 1864. He was then sent on the Red river expedition under General Banks. He was mustered out of the service February 17, 1865, but until July of that year he was in the government employ, having charge of Camp Fry, in Chicago. He was not mustered out as an officer until 1887, when he took advantage of the act of congress permitting volunteer officers to be mustered according to their rank, if they had failed to be so mustered, owing to active operations in the field. He did this in order to become eligible to membership in the Loyal Legion, which he at once joined. When his country no longer needed his services he commenced the study of law in the office of Ira P. Buell, of Chicago, and was admitted to the bar there in 1866. In 1867 he located in Cedar Rapids and engaged in practice, where he remained until his death. Although not a college-bread man, he was recognized as a thorough scholar. An omnivorous reader, his whole life was a process of self-education. He was a Republican in politics, and was colonel on the staff of Governor Gear during his last administration. He was a prominent member of the Loyal Legion, and served as department commander of the G. A. R. in 1890. Mr. Mills was married, October 14, 1869, to miss Flora B. Coulter, a native of Wooster, Ohio. Her father, Colonel John P. Coulter, was born in Butler county, Pennsylvania, and was engaged in the practice of medicine in Ohio for many ears. In 1857 he came to Cedar Rapids, Iowa and followed his profession at this place until the breaking out of the Civil war. He assisted in organizing a regiment, which was mustered into the United States service as the Twelfth Iowa Volunteer Infantry, and was commissioned lieutenant-colonel. Later he was made lieutenant-colonel of the Union Brigade. He was wounded during an engagement and never afterward regained his health. On his return to Cedar Rapids at the close of the war he lived retired from active practice, and died in that city in 1876. His wife passed away in 1884, and both were laid to rest in Oak Hill cemetery. They had four children, namely: Lewis, a resident of Chicago; Edward, an express messenger on the Burlington, Cedar Rapids & Northern Railroad, and a resident of Cedar Rapids; Eleanora, wife of J. M. Jolley, of Florida; and Mrs. Mills. Unto our subject and his wife were born three children: John P., of Cedar Rapids; Flora, wife of Edward R. Kaupke, of the firm of Frick & Kaupke, wholesale grocers; and Mary M., a student in the high school at Cedar Rapids, Iowa. Source: The Biographical Record of Linn County Iowa, Illustrated, Chicago: The S. J. Clarke Publishing Company, 1901, pages 365-7. Edwin E. Mitchell, proprietor of one of the leading livery stables of Mt. Vernon, was born in Rock county, Wisconsin, on the banks of the Rock river, a few miles below Janesville, July 31, 1848, and in 1856 came to Iowa with his parents, John T. and Elizabeth (Miles) Mitchell, both of whom were natives of Indiana, from which state they removed to Wisconsin in territorial days. During his entire residence there the father followed the occupation of farming, and on coming to Iowa continued to engage in agricultural pursuits, his first being near Lisbon, just over the line in Cedar county. As a farmer and stock raiser he was fairly successfully, and on his retirement from active labor in 1890 he removed to Lisbon, where he and his wife are now living, enjoying the fruits of their early industry. In religious belief they are Seventh Day Adventists, and are earnest, consistent Christian people. Unto them were born seven children and five of the number are still living, our subject being the oldest; Thomas A. is a farmer of Cedar county; Mary J. is the wife of Daniel Andre, a farmer of the same county; Emma, wife of Julius Hall, of Battle Creek, Michigan; and Charles H. is a farmer of Cedar county, Iowa. The others died when quite young. On arriving at man’s estate Edwin E. Mitchell engaged in general farming and stock raising in Cedar county until 1894, when he removed to Mt. Vernon and was engaged in the wood business for two years. Since then he has had charge of the livery and feed stable with which he is still connected, being associated in business with his son Thomas I. They have a well-equipped barn on First street and enjoy an excellent trade. Mr. Mitchell was married, on the 29th of September, 1869, to Miss Catherine Dorcas, of Cedar county, who is a native of Richland county, Ohio, and a daughter of Jesse and Mahala (Boulas) Dorcas. The father was a farmer of Richland county. He died some years ago at the age of sixty-three and the mother died in 1897. Unto Mr. and Mrs. Mitchell were born four children, namely: Thomas I., born in Nemaha county, Kansas, October 22, 1872, was educated at the Agricultural College in Ames, Iowa, where he took a course in veterinary surgery, and is now successfully engaged in the practice of his profession, having his office in his father’s livery stable at Mt. Vernon. Louis E., born in Cedar county, Iowa, December 8, 1880, is now in the employ of the Electric Light & Power Company of Mt. Vernon. Earl G., born in Cedar county August 5, 1883, was educated in the common schools of Mt. Vernon, and now assists his father at the stable. John Robert, born in Kansas December 8, 1874, died in Cedar county, Iowa, at the age of two years. Mr. Mitchell is a member of the United Brethren church, and also belongs to the Knights of Pythias, Foresters and Modern Brotherhood fraternities. In politics he has always supported the Republican party. Source: The Biographical Record of Linn County Iowa, Illustrated, Chicago: The S. J. Clarke Publishing Company, 1901, pages 166-7. Charles W. Monn is president of the Cedar Rapids Bottling Works, one of the important industrial enterprises of Linn county, and he was here born May 14, 1873. His father, Samuel Monn, a native of Pennsylvania and a Union soldier during the Civil war, formerly engaged in farming and teaming. He wedded Mary Garlinger and they are still residents of Cedar Rapids. After attending the public schools to the age of eleven years, Charles W. Monn worked upon a farm for three or four years and was afterward in the employ of a veterinary surgeon for two years. He then entered the employ of the Hamilton & Brown Bottling Works with which he was connected until about three years ago as an employee. He then purchased an interest in the business and is now president of the company. On the 26th of October, 1896, in Cedar Rapids, Mr. Mann was united in marriage to Miss May Hardin of Cedar Rapids. They have one child, Ferol Francis, seven years of age, who is with them in their home at No. 330 South Seventh Street West, which property Mr. Monn owns. Mr. Mann belongs to several fraternal organizations, being an Odd Fellow, Woodman and Eagle. His attention, however, is chiefly given to his business interests, his energy and determination enabling him to overcome the obstacles and difficulties in his path and win success when sometimes failure is threatened. His partner, Arthur Hurtt, who is secretary and treasurer of the Cedar Rapids Bottling Works, was born in Kankakee, Illinois, March 3, 1867, a son of Allen S. and Esther (Porter) Hurtt. The father was a contractor and also a soldier of the Civil war. He died in 1906 after long surviving his wife who passed away in 1882. Arthur Hurtt attended the public schools and at fourteen years began earning his own living in the employ of the Shaver & Dows Cracker Company with whom he remained for six years. He then worked for J. B. Morin in a cold storage plant, continuing with that concern for eight years when he entered the service of the Brown Bottling Works. Two years were passed after which he purchased an interest in the business and is now secretary and treasurer of the Cedar Rapids Bottling Works. In 1893 Mr. Hurtt wedded Miss Mary L. Dupuy of Cedar Rapids and they have two children, Eunice, fourteen years of age, and Lois L., ten years of age. Mr. Hurtt is a Mason, a Woodman, a Workman and a Forester. It will be interesting in this connection to note something more of the Cedar Rapids Bottling Works of which Charles W. Mann and Arthur Hurtt are the partners. They are the first to make a success of this business in Cedar Rapids. The enterprise was originally started by the firm of Rank & Adams who failed. They sold out to John Hamilton who admitted Mr. Brown as a partner and the latter finally purchased Mr. Hamilton’s interest and attempted to conduct the enterprise alone but he also failed. It was then that the present owners, who were in the employ of Mr. Brown, joined forces and purchased the business. In a short time they have made of it a splendid success. When they came into possession about three years ago the business was conducted in a small shanty and today they have a splendid plant thoroughly equipped with modern machinery and accessories. They attribute their success to hard work, to their mutual faith, and to their personal supervision of all departments of the business. Mr. Monn attends to all the outside work and the sales while Mr. Hurtt looks after the inside part, including bookkeeping and a general superintendence of the manufacture. The methods employed in manufacturing are of the most modern and the output is of such excellence as to secure a ready sale on the market. Source: History of Linn County Iowa, From Its Earliest Settlement to the Present Time, Vol. II, Chicago, The Pioneer Publishing Company, 1911, p. 187-188. William J. Monroe, the well-known and efficient foreman of the round house of the Burlington, Cedar Rapids & Northern Railroad at Cedar Rapids, was born in Cattaraugus county, New York, November 5, 1867, and is the only child of Henry and Annetta Grace (Thomas) Monroe, also natives of the Empire state. The father, who was a farmer by occupation, died in New York, after which the mother married again, becoming the wife of George Brown, a retired farmer now living in Cedar Rapids. By the second union there is one daughter, Gertrude Brown. Our subject's paternal grandfather was a native of Scotland, while his maternal ancestors were of English origin. When quite small, Mr. Monroe was taken to Chicago by his mother, the family making their home there until after the Chicago fire. In 1872 they came to Cedar Rapids, where he attended the common schools. At the age of thirteen years he entered the employ of the Burlington, Cedar Rapids & Northern Railroad, as an apprentice in the machine shop, where he has worked continuously since. After mastering the trade, he worked as a journeyman until promoted to night foreman, in which capacity he served until 1899, when he was made day foreman of the round house. He has thirty-five men working under his supervision and has entire charge of the round house and repairs of the engines in service. He fills the position most creditably, and he has the confidence and respect of his employers, as well as those working under him. In 1888 Mr. Monroe married Miss Agnes Burke, who was born in Elkhorn, Wisconsin, November 5, 1867. Her father is now a resident of Watertown, South Dakota. Our subject and his wife have six children: Grace, Gladys and Lester, who are now attending school; Wilma; Maria and Margaret, twins. The family residence is on the east side at the corner of B avenue and Seventh street. In religious faith Mrs. Monroe is a Catholic, while our subject holds membership in the Episcopal Church. Fraternally he is a member of Lodge No. 278, A. O. U. W., and politically he is a supporter of the Republican party, though he takes no active part in public affairs. Although still comparatively a young man, he has met with good success in his chosen vocation, and has advanced rapidly until he now occupies an important and responsible position, the duties of which he has most ably discharged. Source: The Biographical Record of Linn County Iowa, Illustrated, Chicago: The S. J. Clarke Publishing Company, 1901, pages 363-4. J. E. Moore, an enterprising agriculturist of Franklin township, is the owner of a fine farm on section 25, and his management of the place is marked by the scientific knowledge and skill which characterize the modern farmer. He was born in Jones county, Iowa, May 13, 1866, and is the only child of Daniel and Mary (Wagner) Moore, both natives of Pennsylvania, their marriage being celebrated in Lycoming county, that state. The father was born, however, in Bucks county. In 1860 they emigrated to Iowa and took up their residence in Jones county, where he engaged in farming until 1867. The following year was spent at Lisbon, and at the end of that time they removed to Cedar county, where he also carried on farming for seventeen years. He then returned to Linn county and purchased two hundred and thirty acres of land on sections 25 and 36. When our subject took this place the father bought forty acres on which was a good set of farm buildings, making his home there until the spring of 1898, when he removed to Lisbon, where he owns a pleasant home, and surrounded by all the comforts of life he is now living retired from active labor. He still owns one hundred and eighty acres of fine farming land in this county, having disposed of the remainder of his property. By his ballot he supports the men and measures of the Republican party and he has been called upon to fill the offices of township trustee, road supervisor and school director, the duties of which positions he most satisfactorily discharged. Both he and his wife are members of the United Brethren church, and he was formerly a trustee of the same. The subject of this sketch was principally reared in Cedar county, where he attended the district schools, and later took a course at the business college of Cedar Rapids. Being the only child, he remained at home, and at the age of twenty-two took charge of the farm, which he successfully managed until 1899, when he bought that portion of the place, consisting of fifty acres on section 25, Franklin township, on which stands all the buildings. He is a most progressive and up-to-date farmer, who has made a scientific study of his chosen occupation, and is meeting with excellent success. He gives considerable attention to the breeding of cattle, making his specialty of thoroughbred Jerseys. In Linn county, February 15, 1893, Mr. Moore was united in marriage with Miss Lora A. Fisher, and to them were born twins, Howard and Homer, who were born June 2, 1899, but Homer died two days later. Mrs. Moore was born in Lisbon March 2, 1868, and is a daughter of Perry Jackson and Cornelia E. (Ringer) Fisher, the former a native of Ohio, and the latter of Crawfordsville, Indiana. Her parents were married in Jones county, Iowa, and for some time made their home in Lisbon, where the father taught school for a number of terms. He also engaged in farming for a while, and when thus employed studied law. After his admission to the bar he engaged in practice for many years at Lisbon, Linn county, but in 1886 removed to a fruit farm which he had previously purchased, making it his home until his death, which occurred December 7, 1895. His remains were interred in the Lisbon cemetery. His widow now makes her home in Linn county with her children. Their family consisted of the following named: William P. wedded Mary Russell and lived for a time in Oklahoma, but now resides in this county; Fannie F., born June 23, 1862, died October 9,1895; Nellie B. is the wife of George G. Miller, a farmer of Linn township; Lora A. is the wife of our subject; Mary E. is the wife of William Reigor, a farmer of this county; and Howard R. is engaged in mercantile business in Oklahoma. Religiously Mr. Moore is a member of the United Brethren church, and politically is identified with the Republican party. He has served as treasurer of the school board for a number of years, and never withholds his support from an enterprise which he believes calculated to advance the moral, intellectual or material welfare of this township or county, and is justly numbered among the valued citizens of the community in which he lives. Source: The Biographical Record of Linn County Iowa, Illustrated, Chicago: The S. J. Clarke Publishing Company, 1901, pages 188-189. This well-known and honored resident of Mt. Vernon, Iowa, is a native of Ireland, and was a lad of fifteen years when he crossed the broad Atlantic with the intention of making his home in the new world. He landed at New York city, and proceeded at once to Erie, Pennsylvania, where he resided for eight years, being engaged in teaming. In 1856 he came to Iowa, arriving in Cedar Rapids on the 3rd. of November, but he remained in that city only a short time, and then went to Marion, where he spent a year. He next removed to Franklin township, this county, where he was engaged in general farming and stock raising for many years. 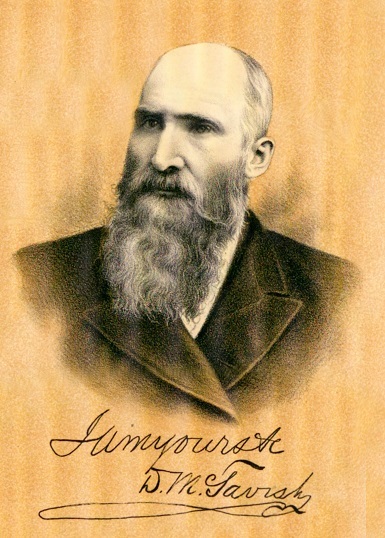 On his retirement from active labor in 1893 he removed to Mt. Vernon, where he has since made his home, enjoying a well-earned rest. In his farming operations he met with well-deserved success, and still owns a small farm near the city. Our subject's mother died in Ireland and his father came to this country at the same time that he did, but remained in Germantown, near Philadelphia, where he died. Mr. Murphy was married, in Cedar Rapids, to Miss Mary Coleburt, also a native of Ireland, and to them were born four children, but two died when small. Those living are Alice, wife of Thomas Glancey, a farmer of Franklin county, Iowa; and Mary, wife of Thomas Phillips, who is now engaged in farming on Mr. Murphy's place in Cedar township, Johnson county. While residing in the county Mr. Murphy efficiently served as school director for some years, and he has always taken an active and commendable interest in public affairs. By the improvement of his farm he has materially advanced the welfare of the community. In religious faith he and his family are Roman Catholics. In politics he has always supported the Democratic ticket. Source: The Biographical Record of Linn County Iowa, Illustrated, Chicago: The S. J. Clarke Publishing Company, 1901, pages 43-44.